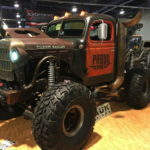 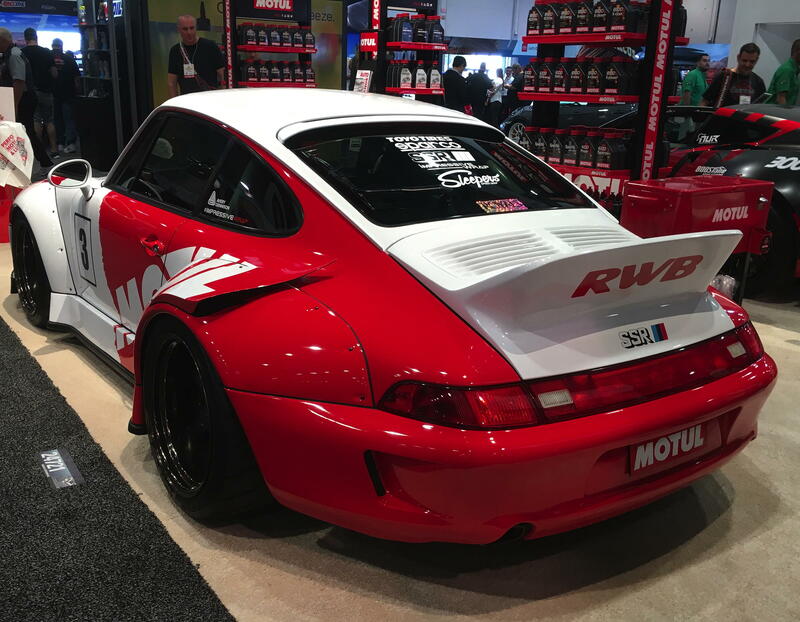 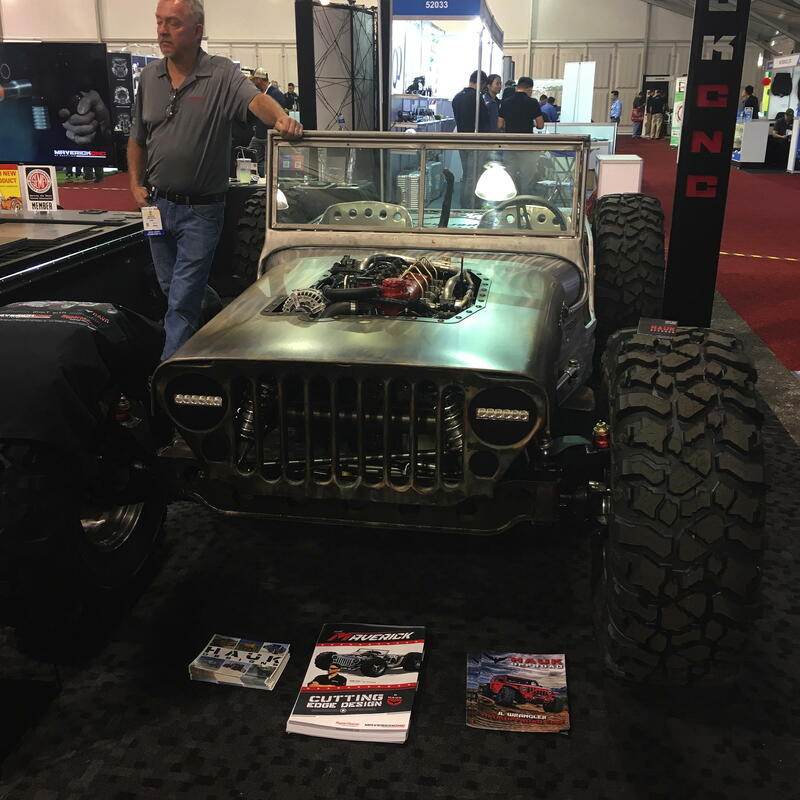 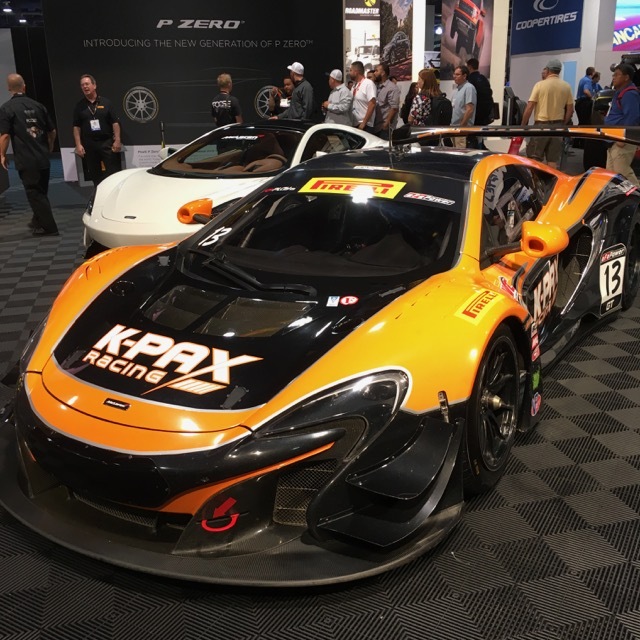 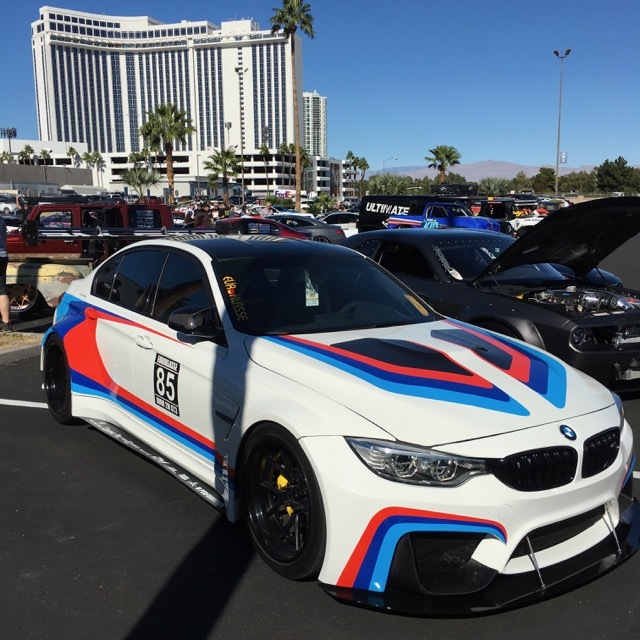 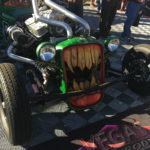 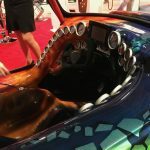 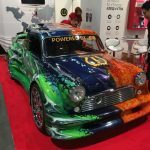 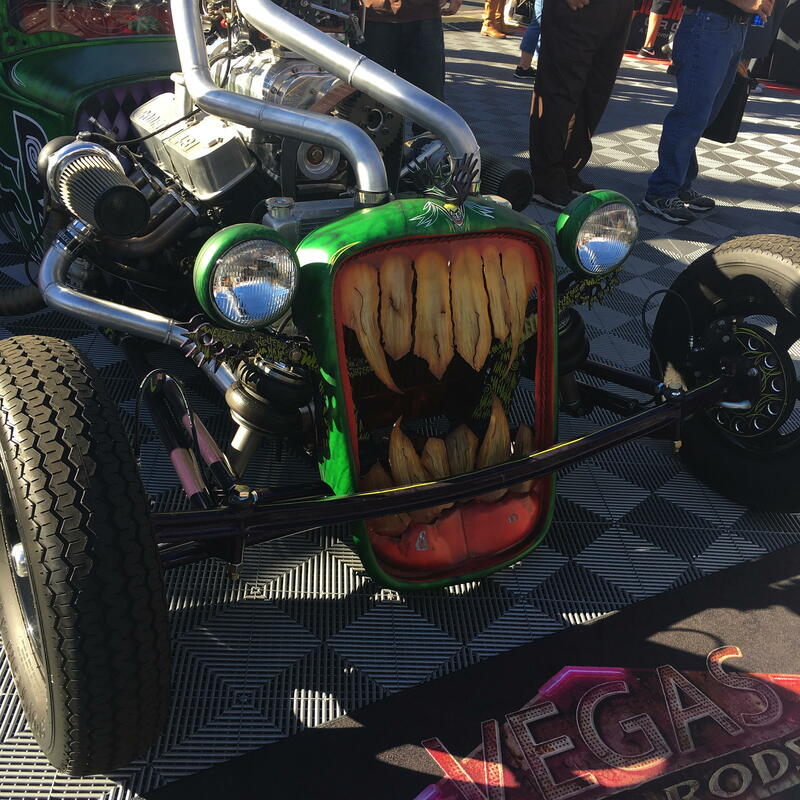 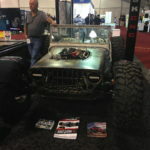 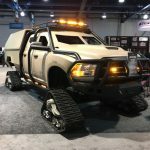 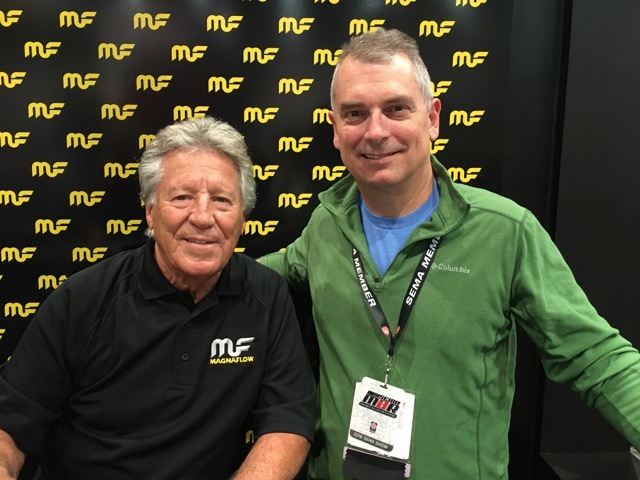 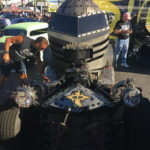 It’s been about a month since the SEMA show in Las Vegas which started just after Halloween this year. 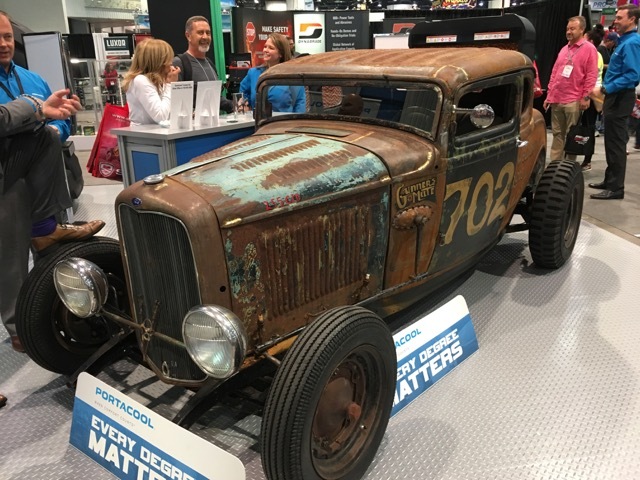 With the US election and Thanksgiving holiday in the rearview mirror, this seemed like a good time to reflect on the state of the aftermarket industry. 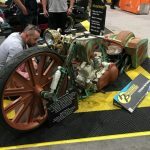 For those not familiar with it, SEMA is the Specialty Equipment Market Association, an industry trade association for the automotive aftermarket industry. 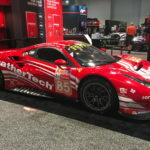 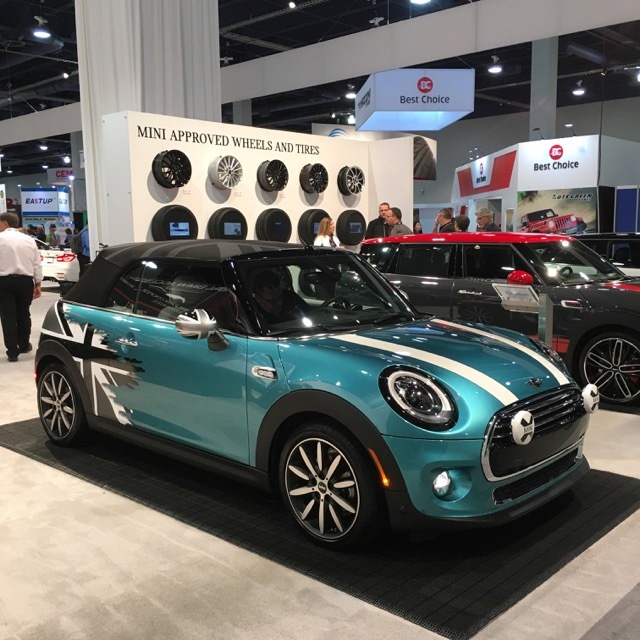 In the US, this is nearly a $40b industry and over 165,000 participants descend on Las Vegas annually to attend the fourth largest trade show in the world. 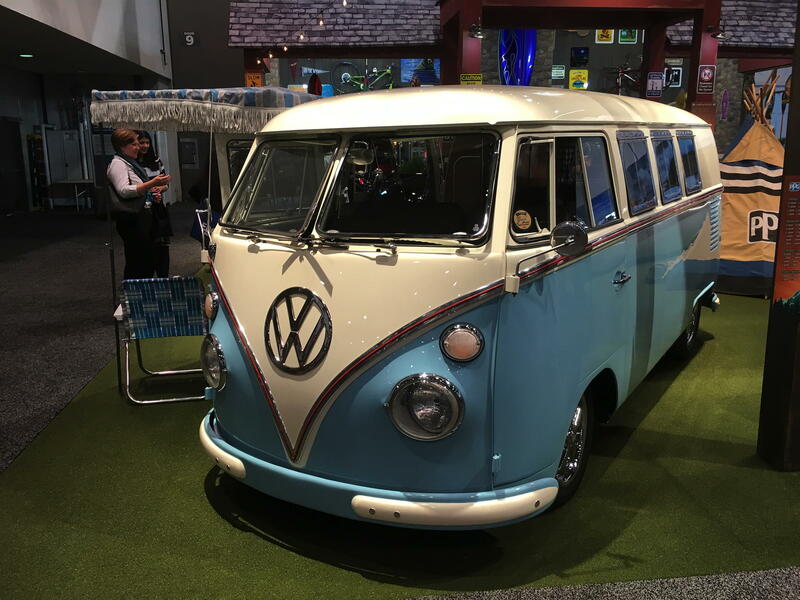 We go every couple of years to take the pulse of the industry and meet with almost all our suppliers in one place. 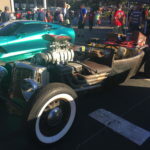 And to see the cars. 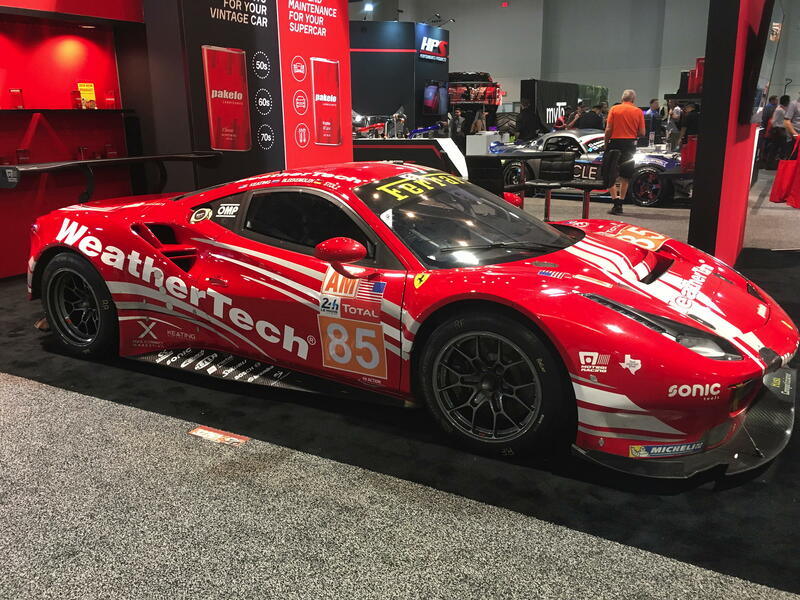 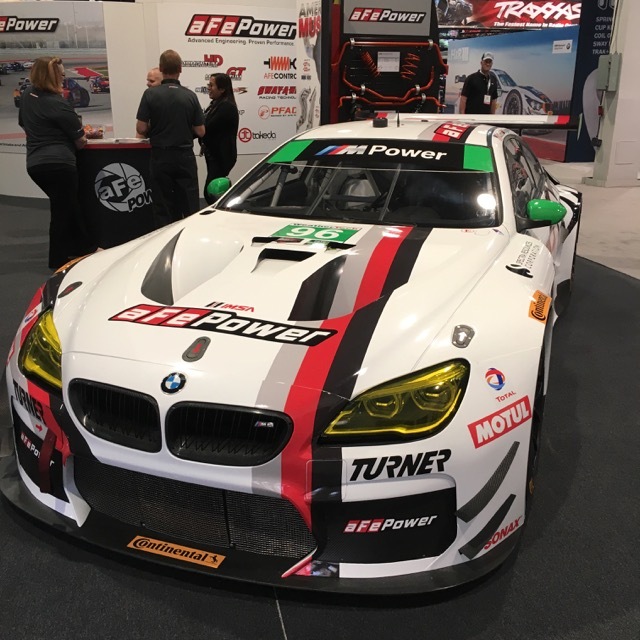 The good news for us is that we’ve shifted more into the Racing niche segment over the past year. That niche is perhaps less dynamic, but also less cyclical. 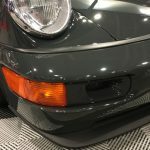 It consists of three product segments: Performance (48%); Wheels, Tires & Suspension (34%); and Accessory & Appearance (18%). 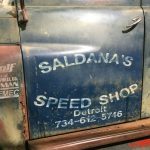 The first two have had steady growth for 15 years. 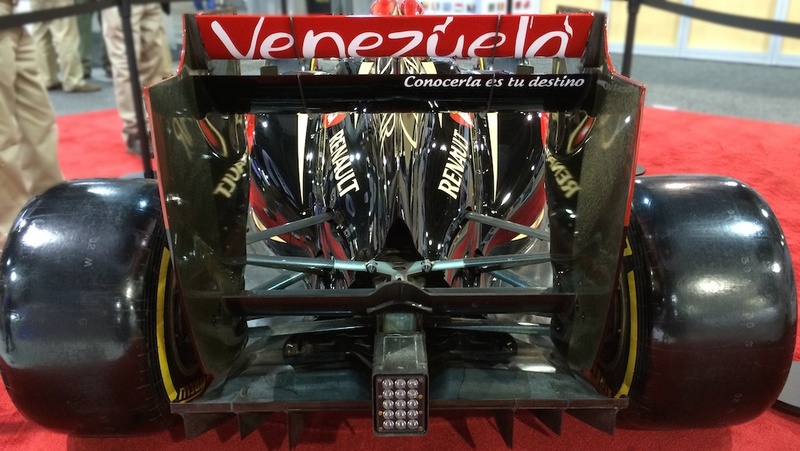 The last has grown steadily since floundering between 2007 and 2011. 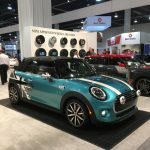 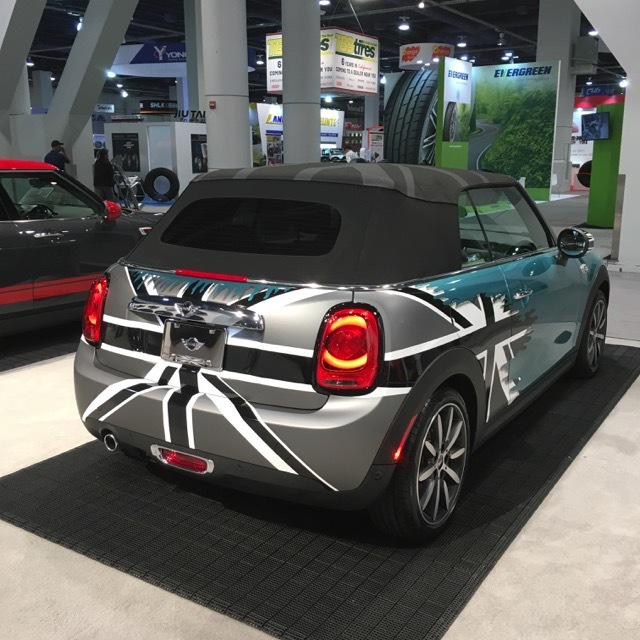 MINI at SEMA: We were hoping we’d catch the new Countryman at SEMA, but MINI USA waited until the LA Auto Show to unveil it. 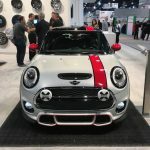 They brought instead a JCW Clubman, Cooper Convertible, and Cooper S Hatchback. 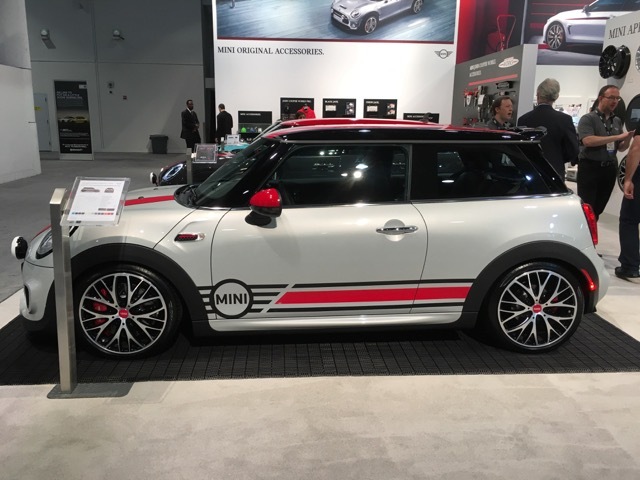 The most interesting thing about MINI was where it wasn’t, namely, anywhere else in the show. 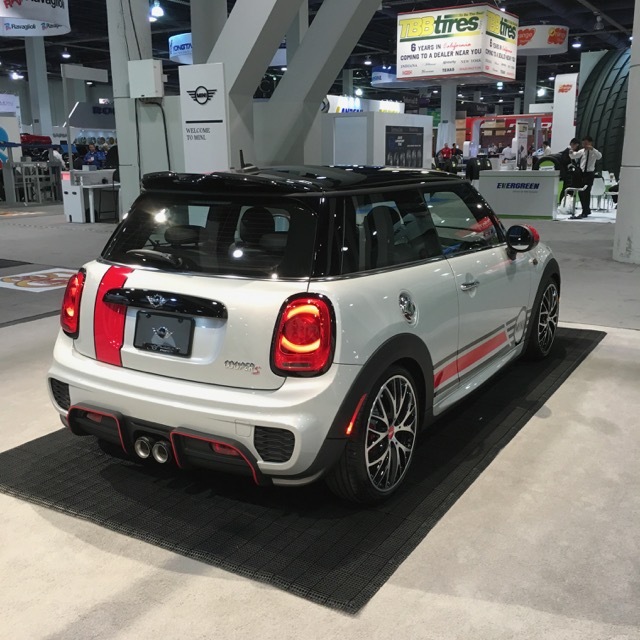 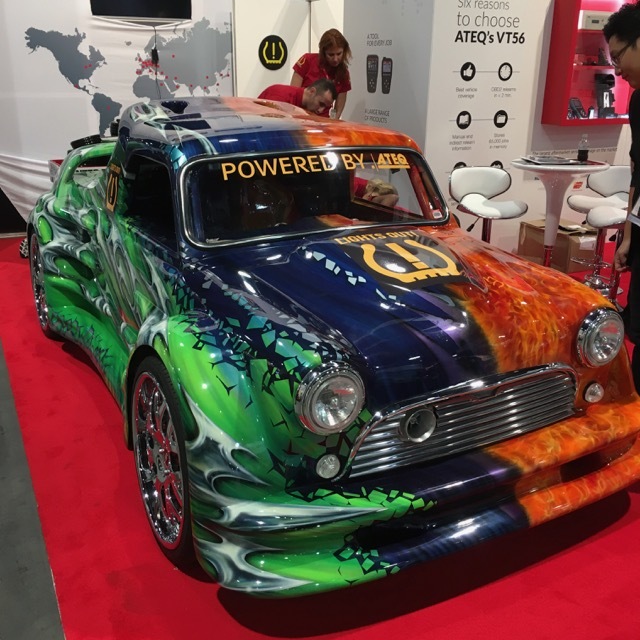 Once a favorite of the tuning crowd, the new, larger MINIs have gone mainstream. 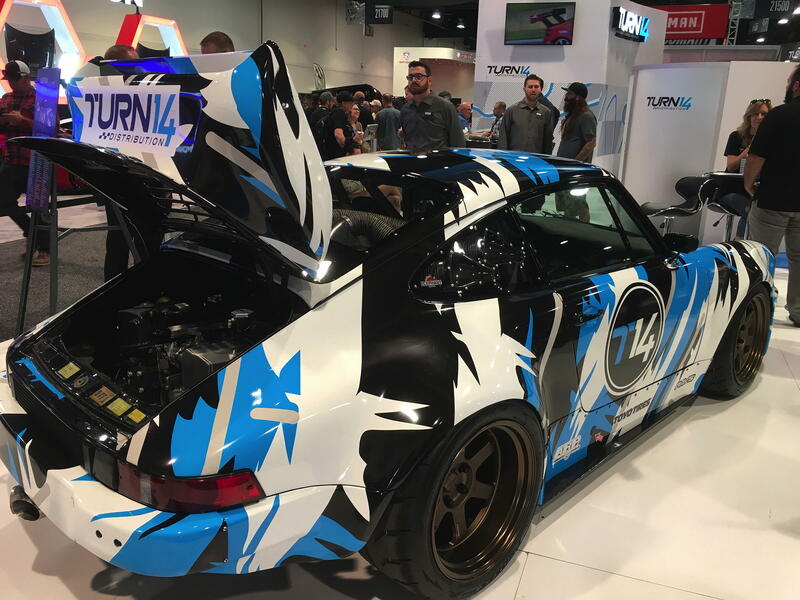 No longer is it seen as a platform to advertise other products. 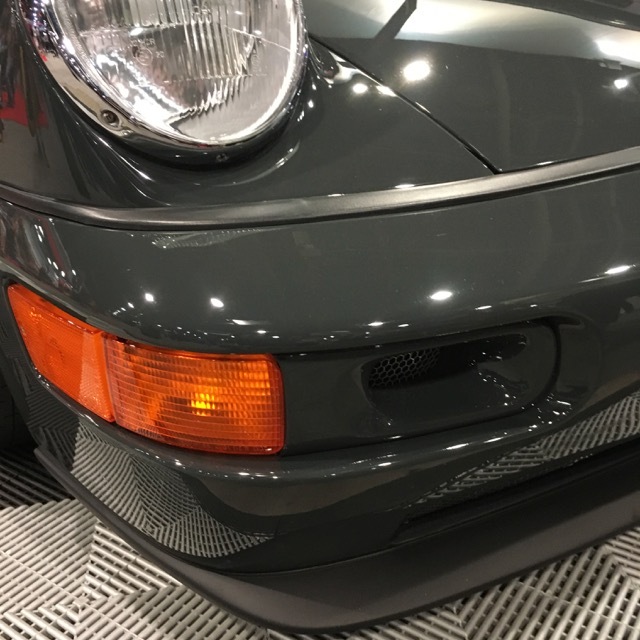 The current generation of cars are quite capable. 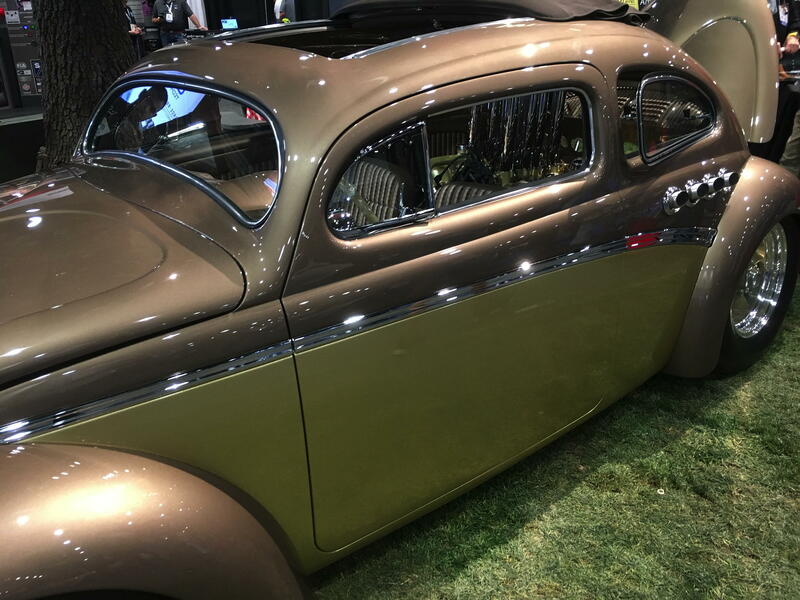 They outperform the earlier models in almost every dimension except one: fun. 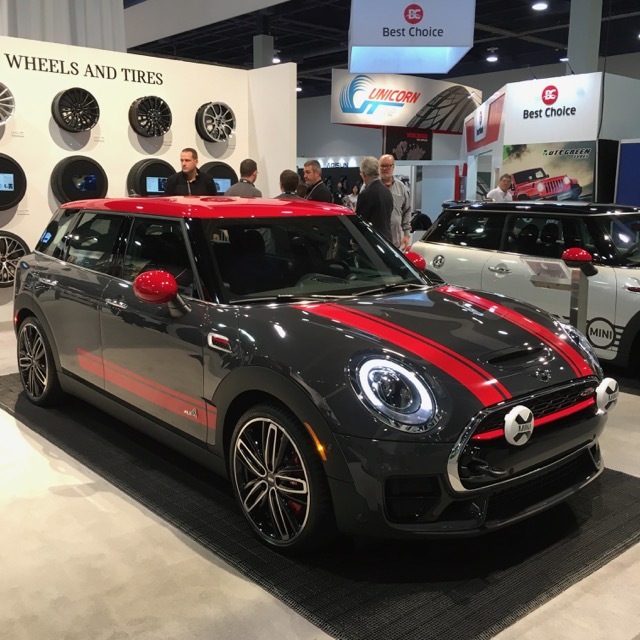 That doesn’t mean it’s all bad in MINI land. 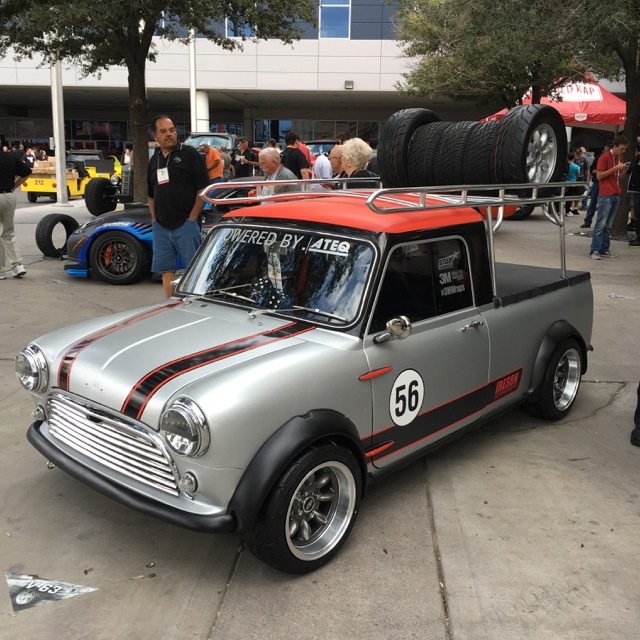 I especially liked the Union Jack convertible roof. 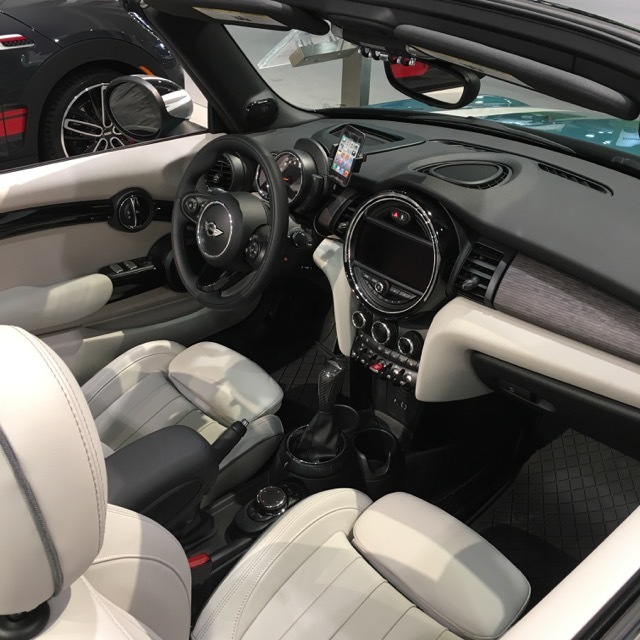 The interiors are very nice – approaching Audi nice – but they are not enthusiast cars, they’re just cars. 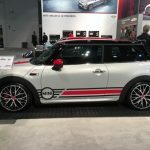 The funny thing about MINI’s current design language is that it doesn’t seem to work on the smaller cars. 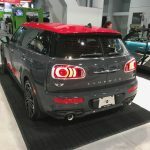 The taillights across the models are oddly proportioned, as if making them bigger would make the cars seem smaller. 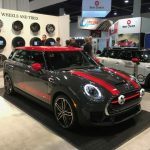 Compare the Clubman to the standard hatchback. The proportions of the larger Clubman seem to work better with the larger platform. The longer nose, the higher waistline, they all seem to work on the Clubman. 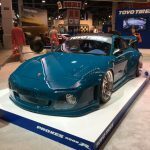 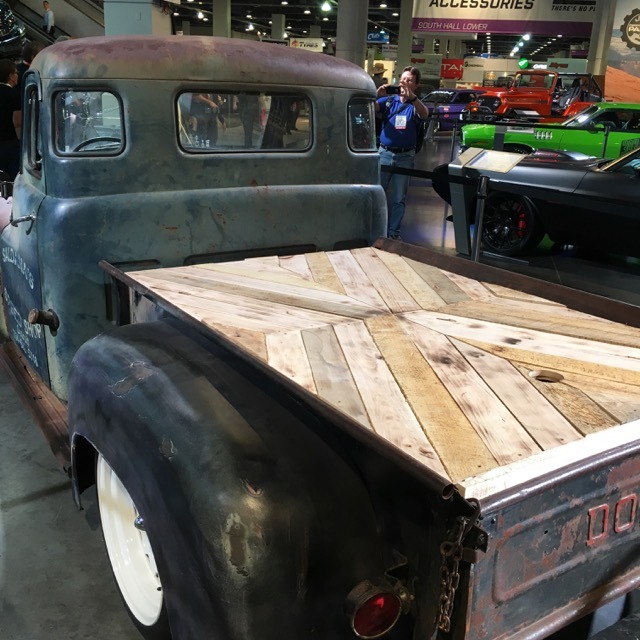 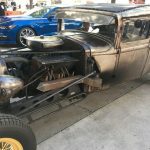 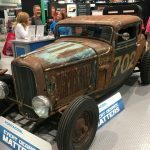 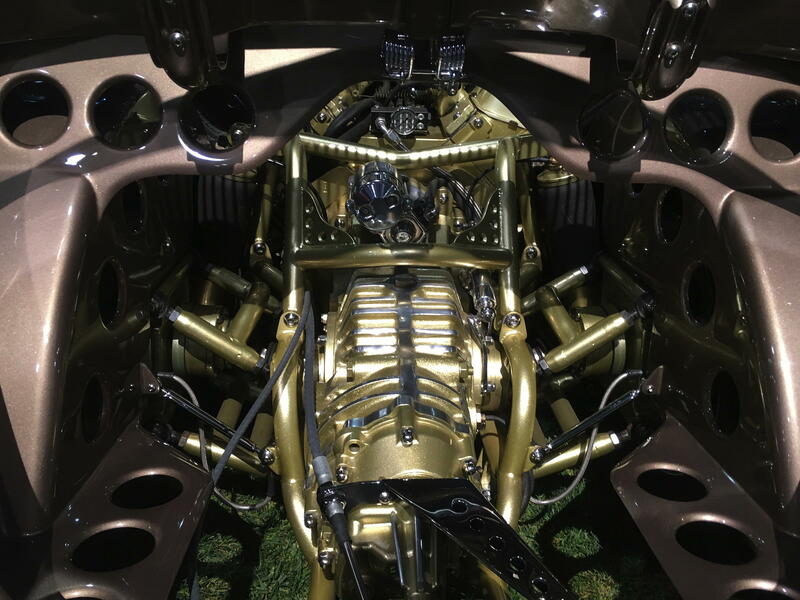 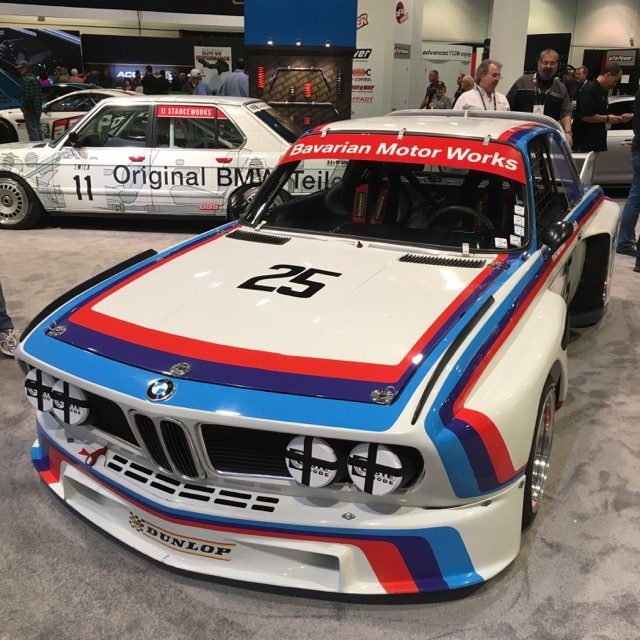 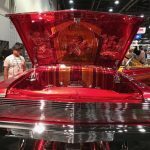 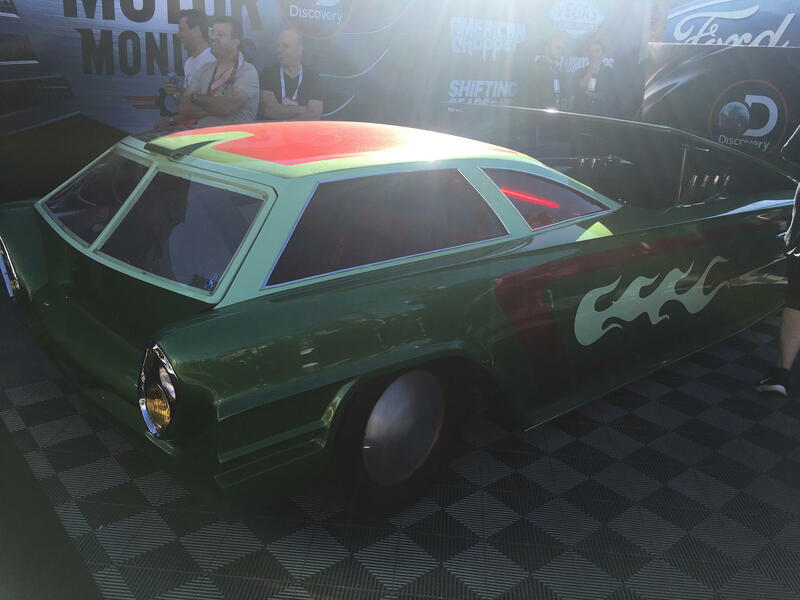 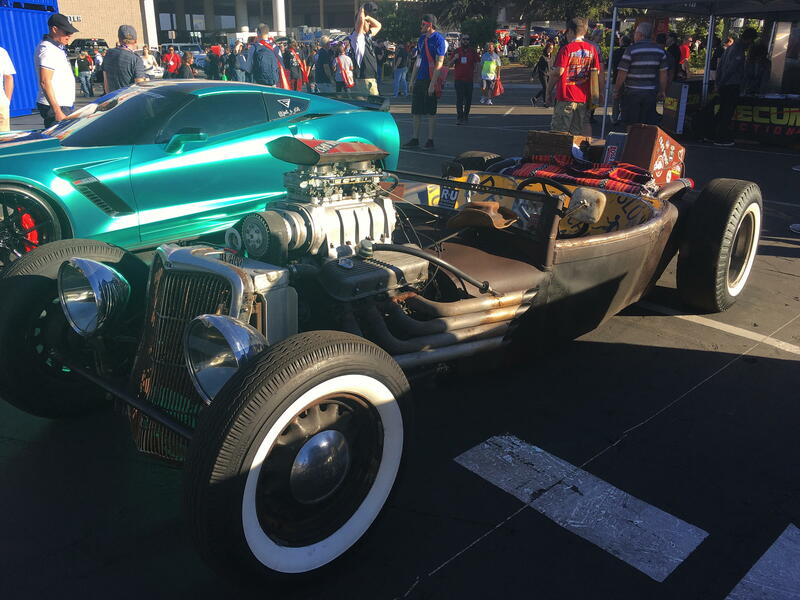 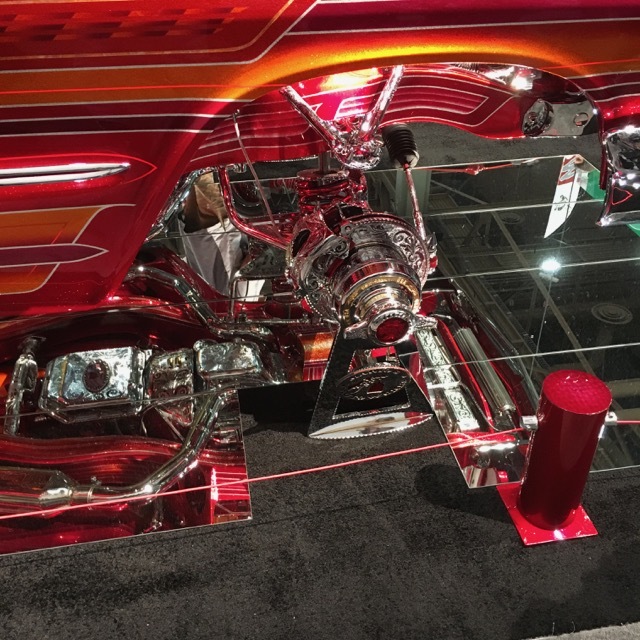 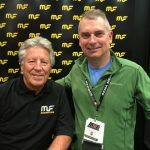 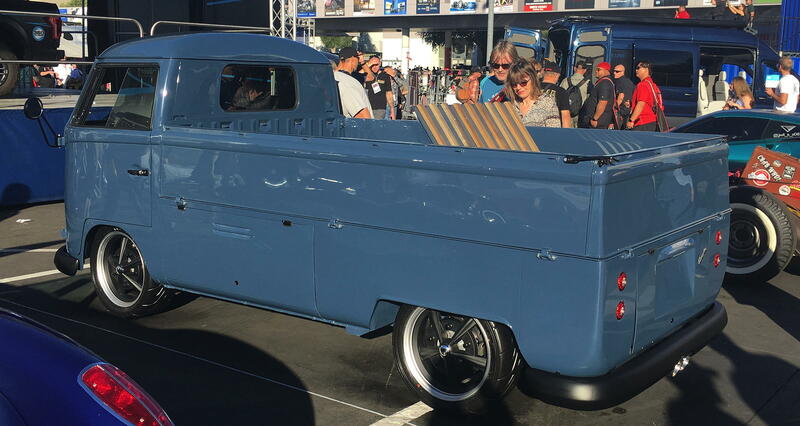 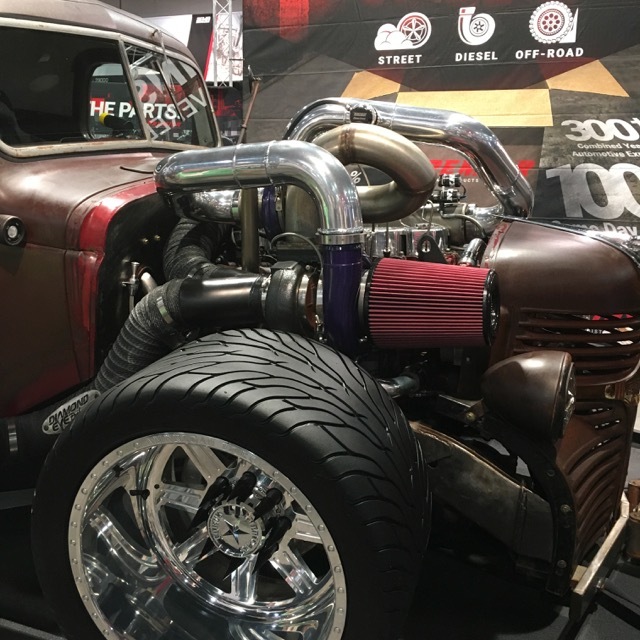 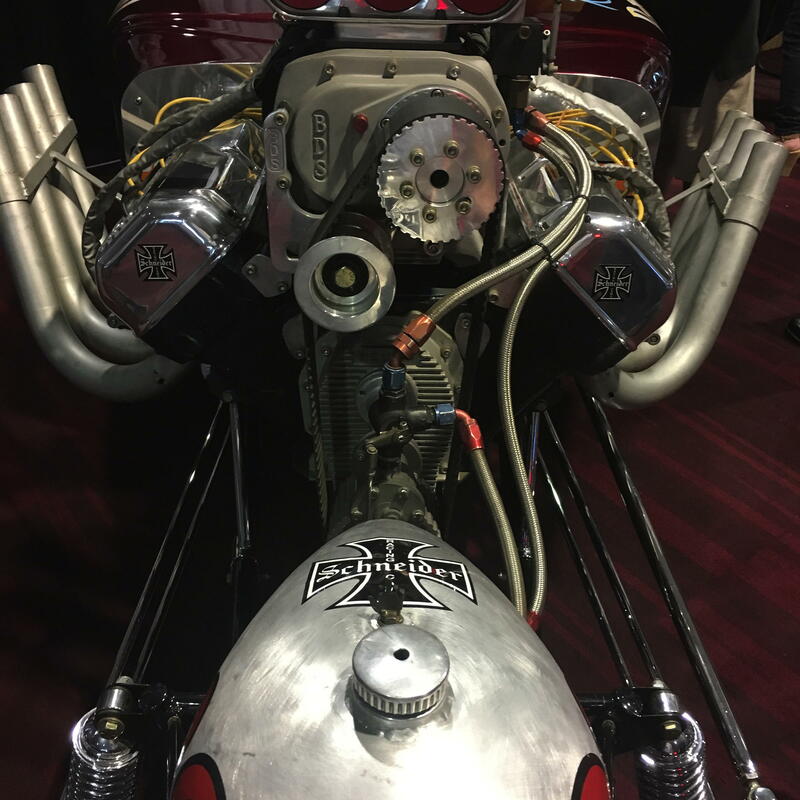 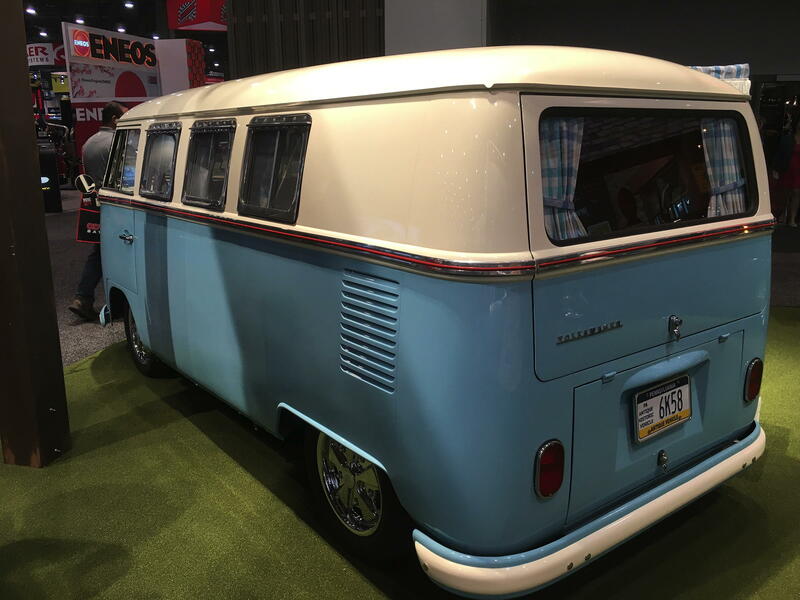 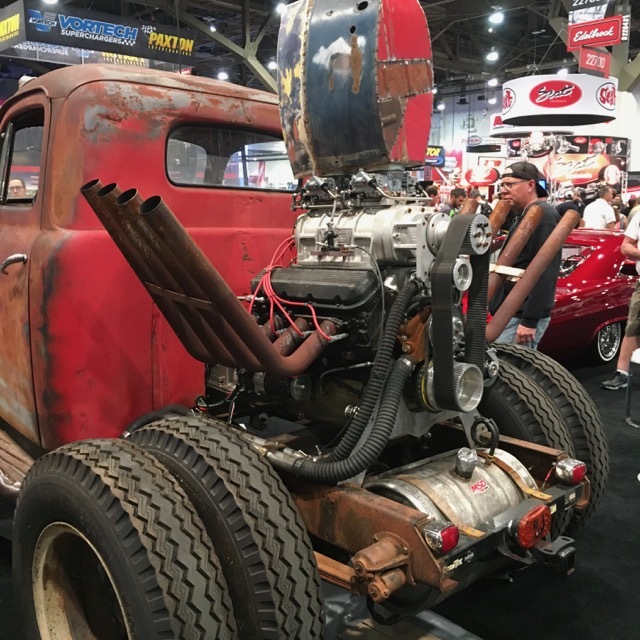 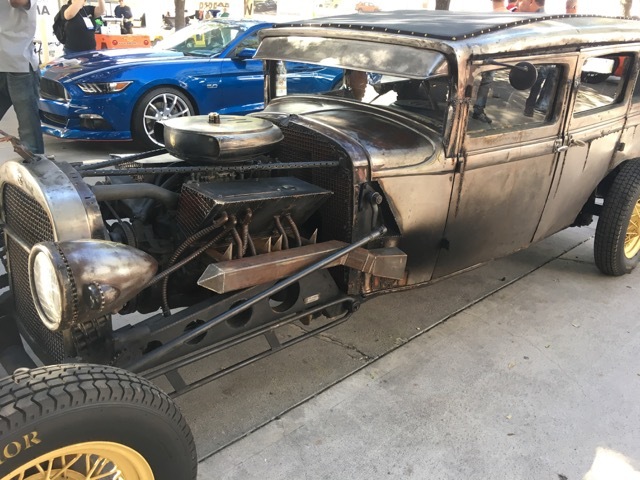 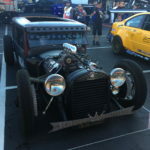 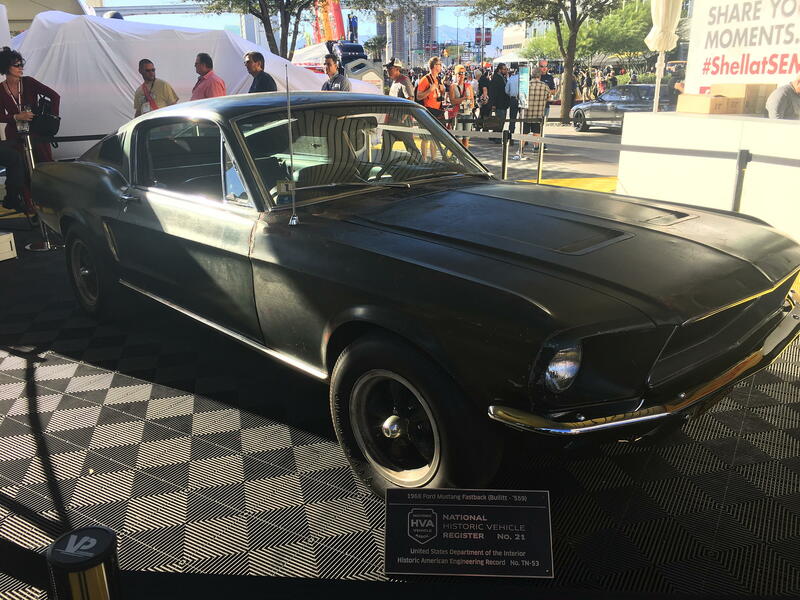 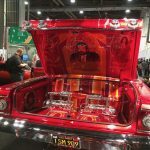 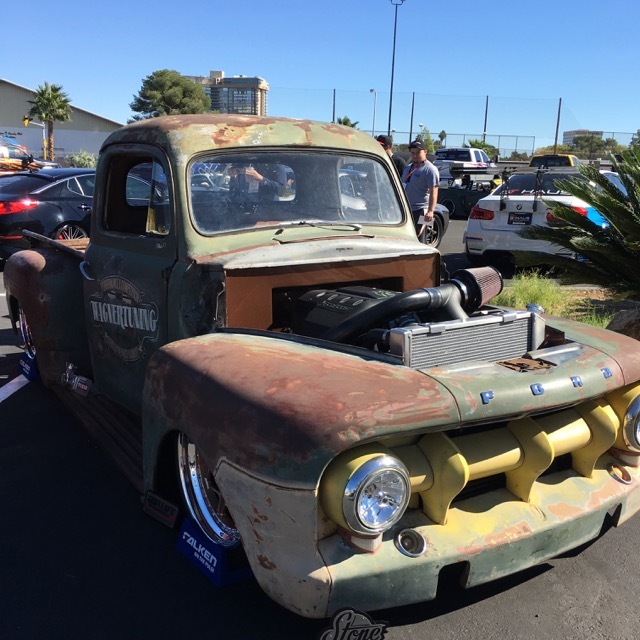 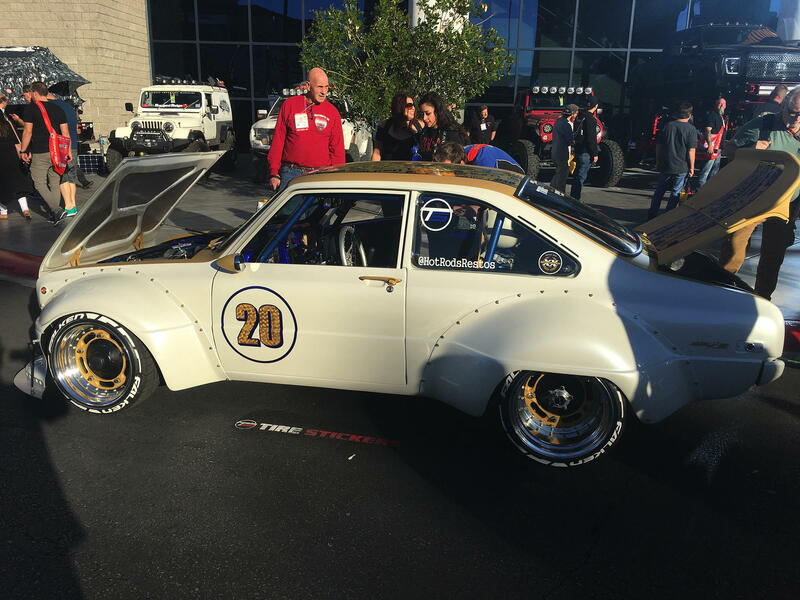 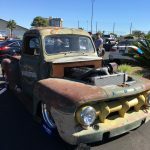 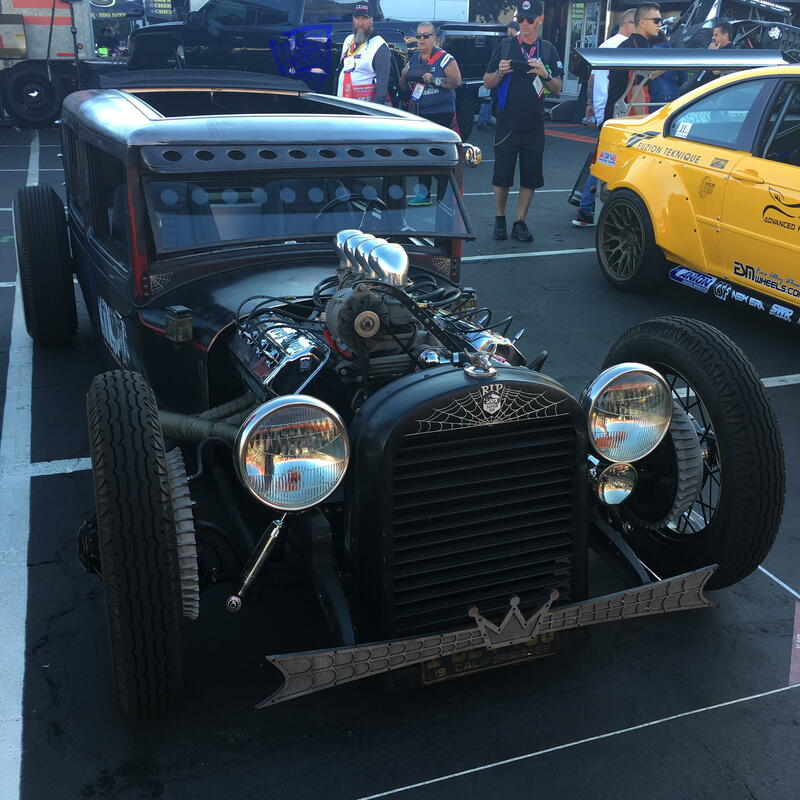 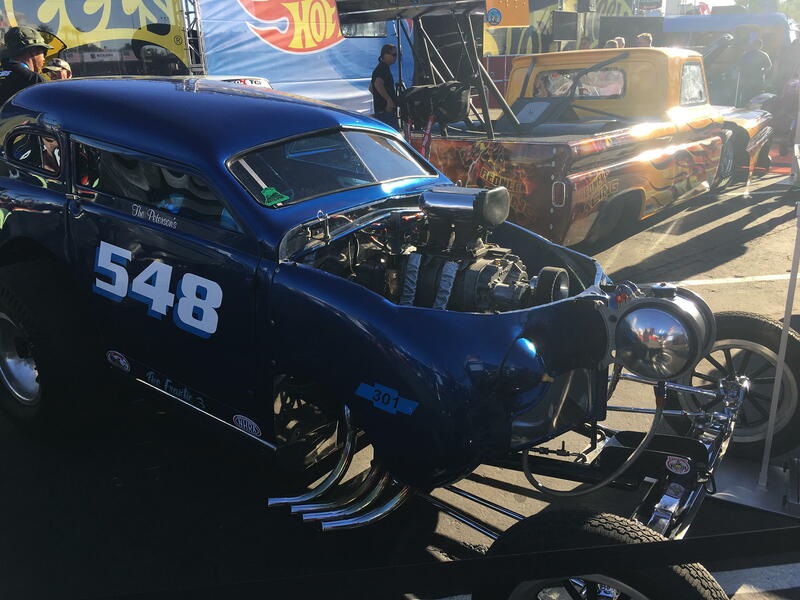 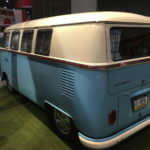 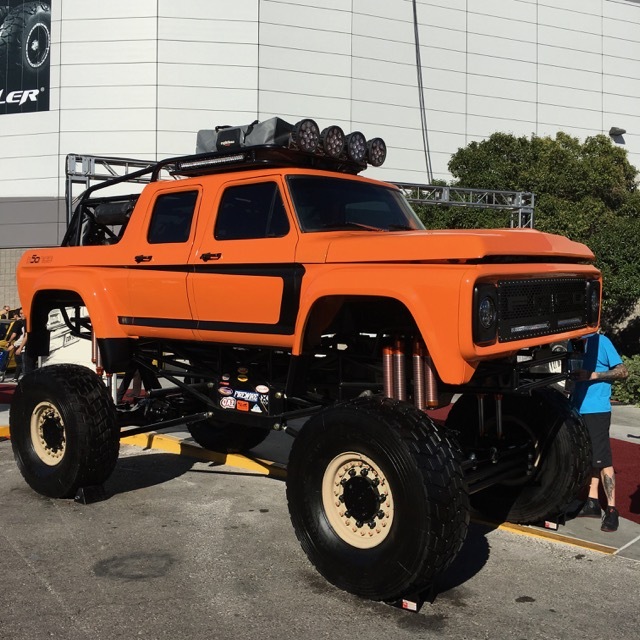 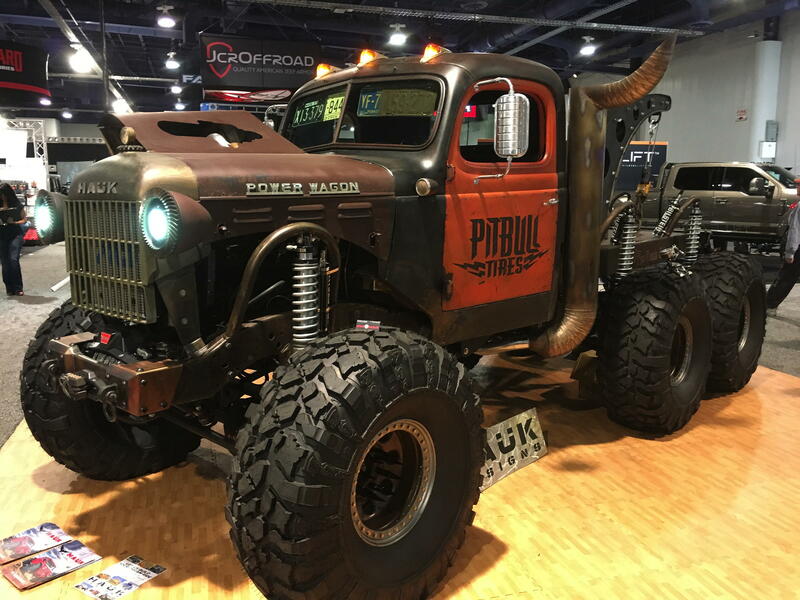 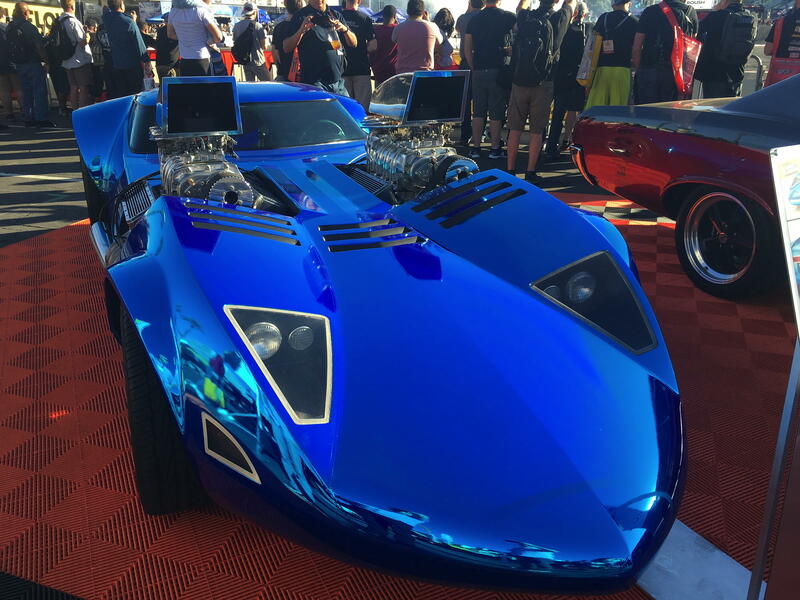 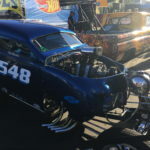 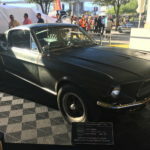 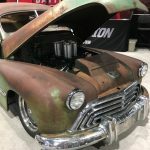 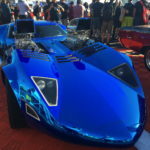 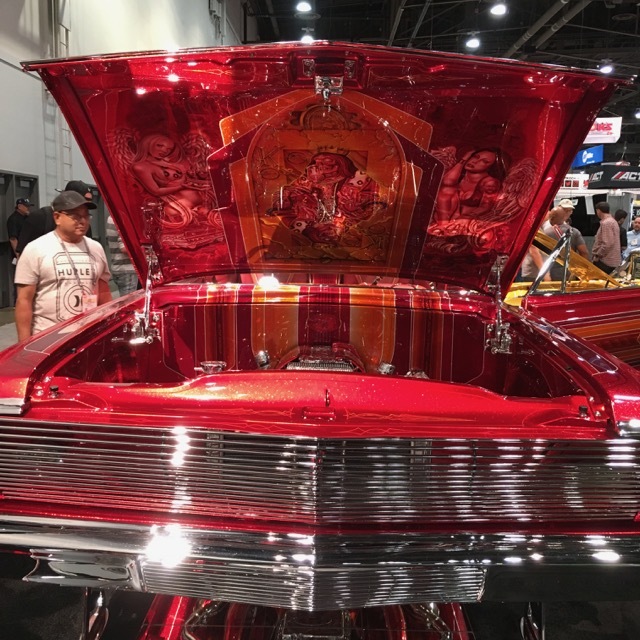 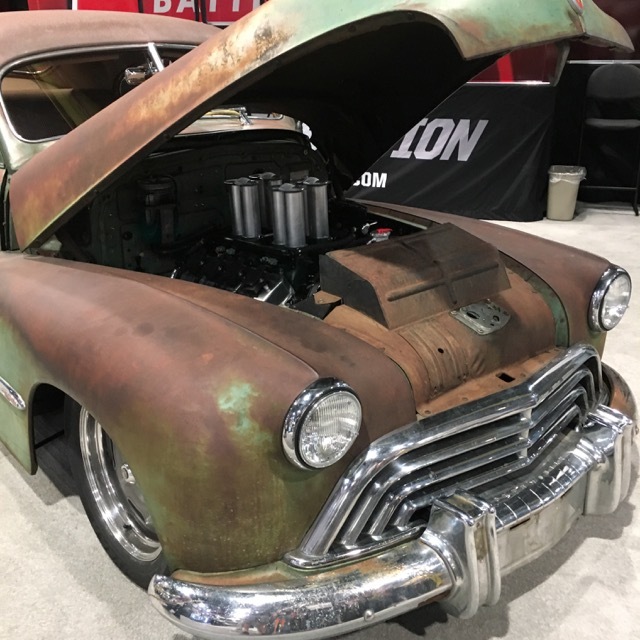 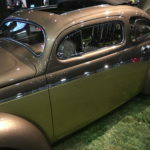 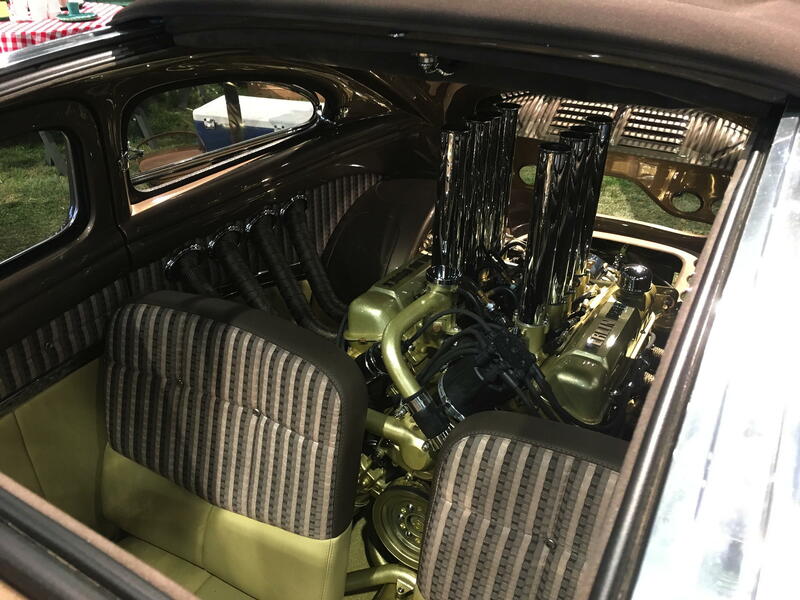 More than a Trade Show: SEMA’s roots go back to the Southern California Hot Rod scene 50 years ago and there was much of that still on display. 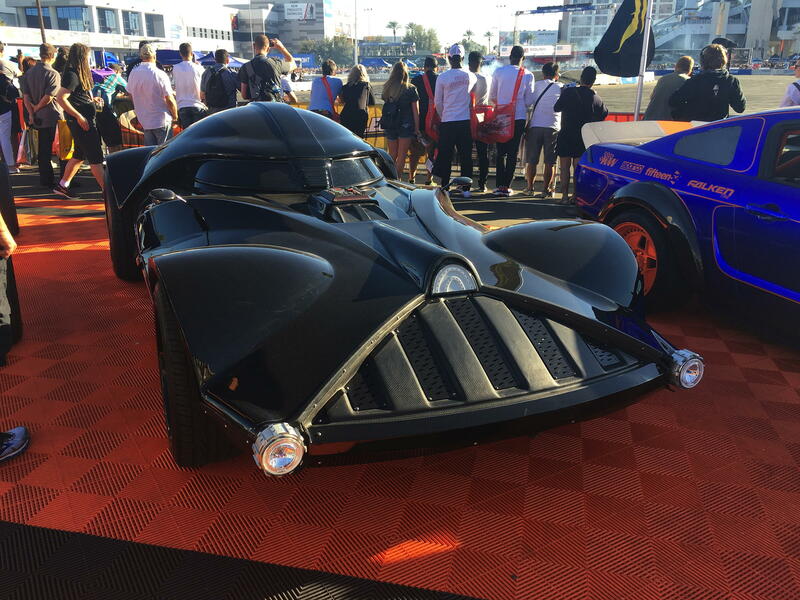 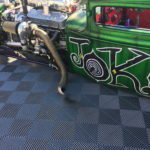 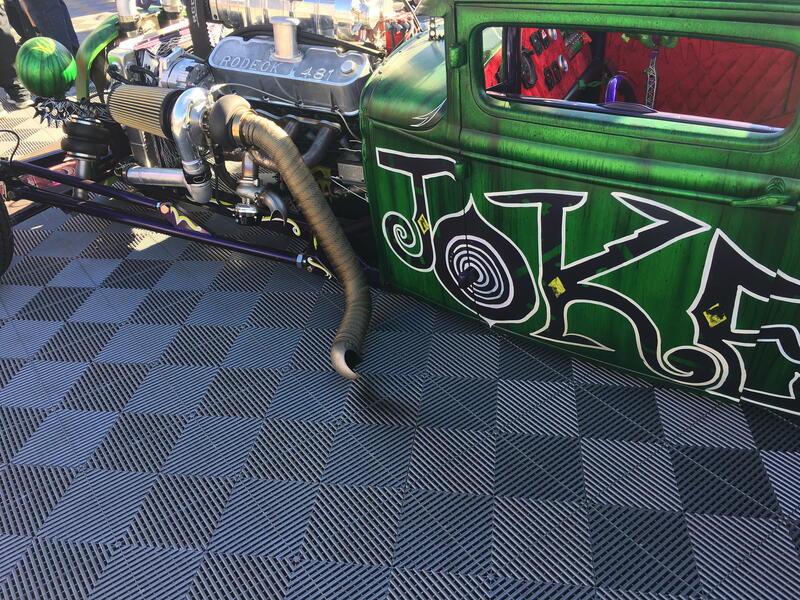 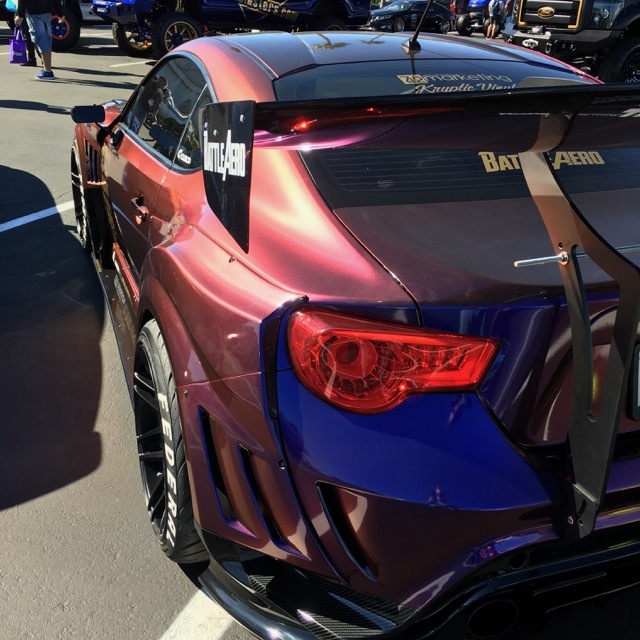 Most people think of the street racing scene when they think about the show today, but there’s much more to see. 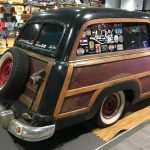 I’ve selected some of my favorite photos and shared them below. 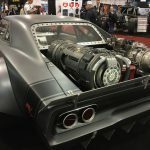 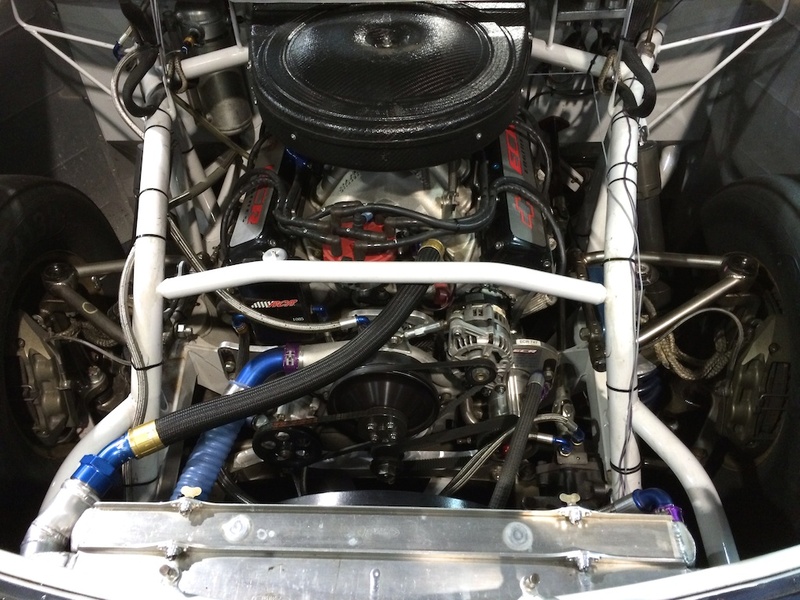 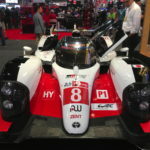 There are always some interesting racecars and quality builds at the show each year. The public may be fascinated with reality TV builders, but I’m more interested in unique cars and personalities. 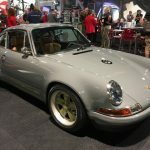 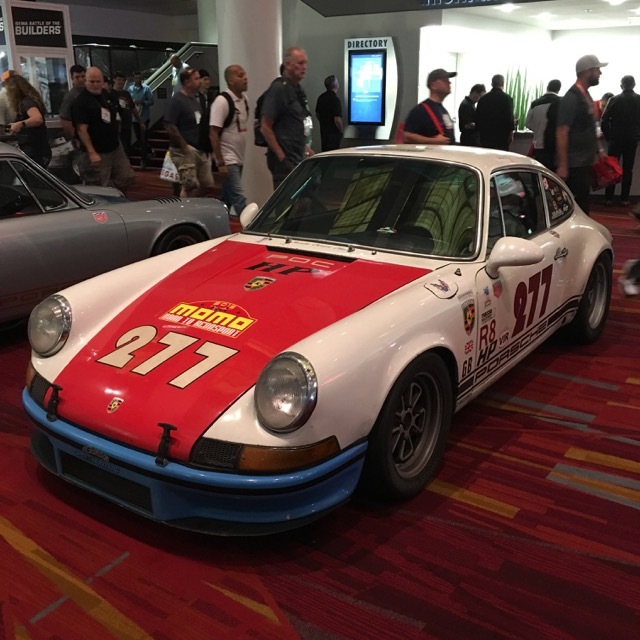 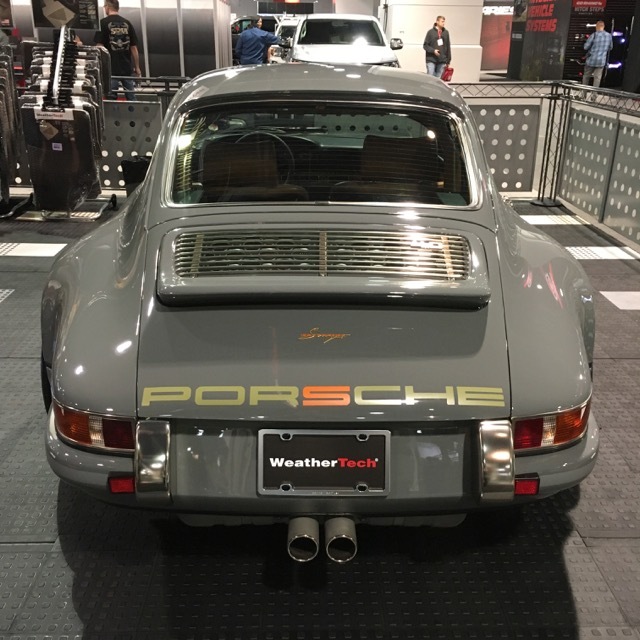 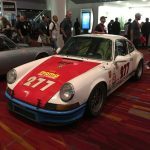 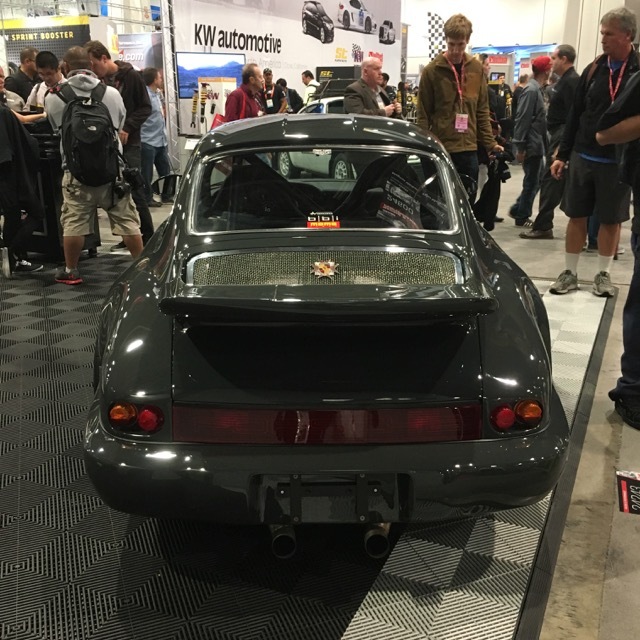 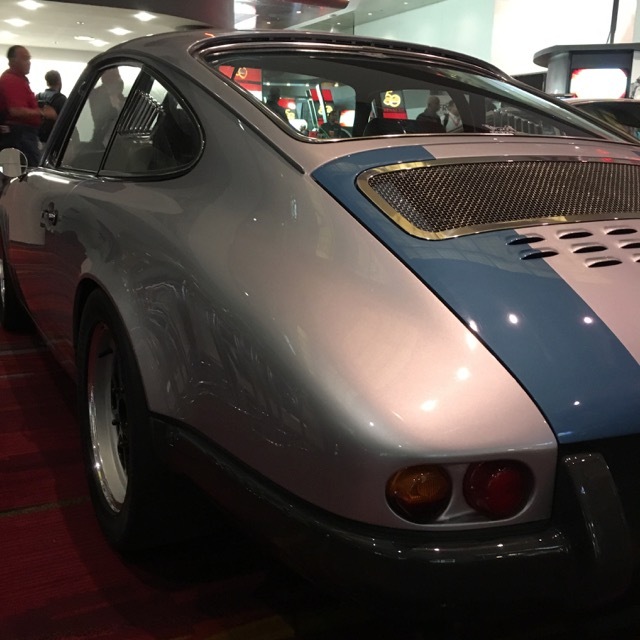 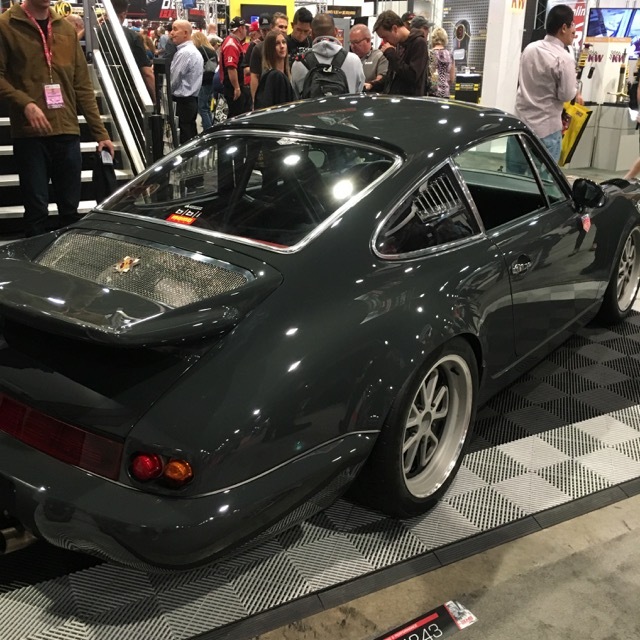 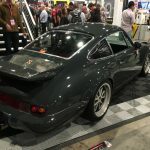 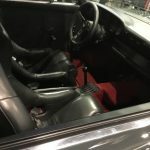 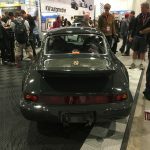 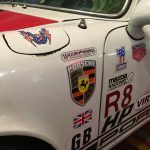 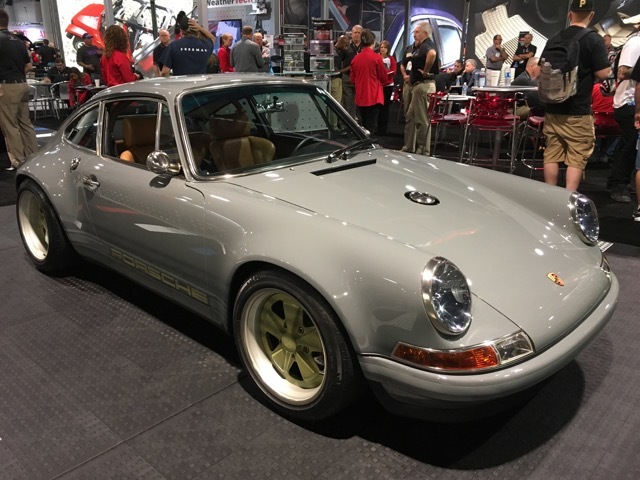 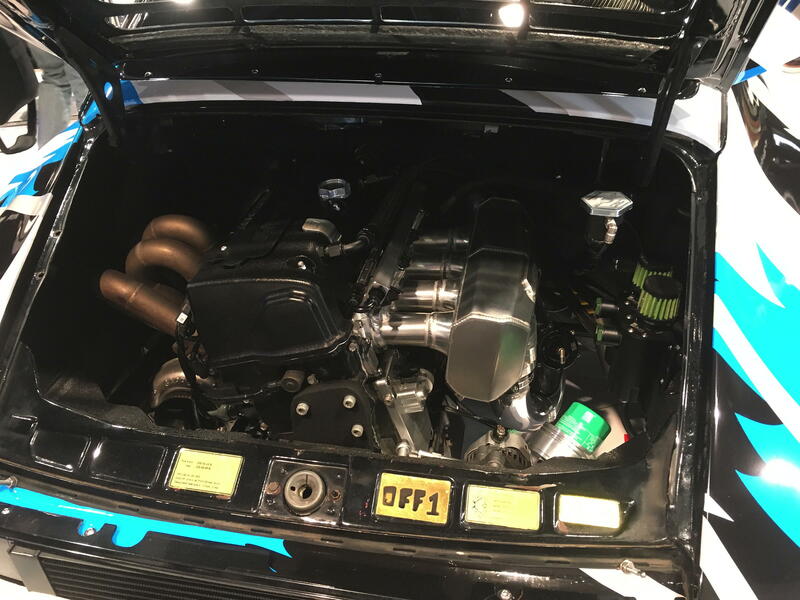 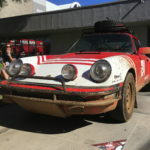 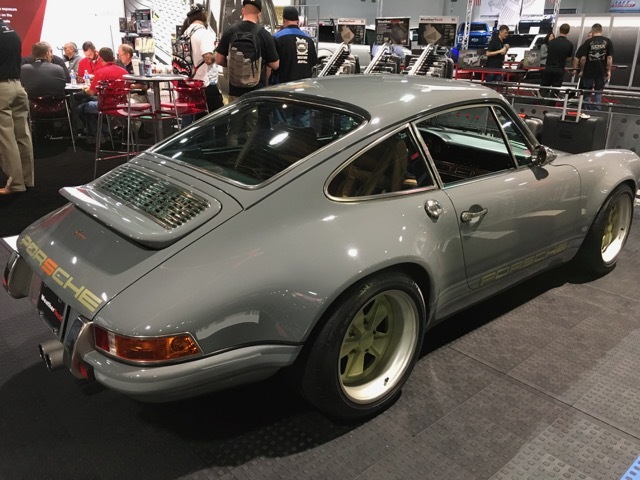 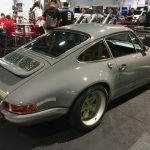 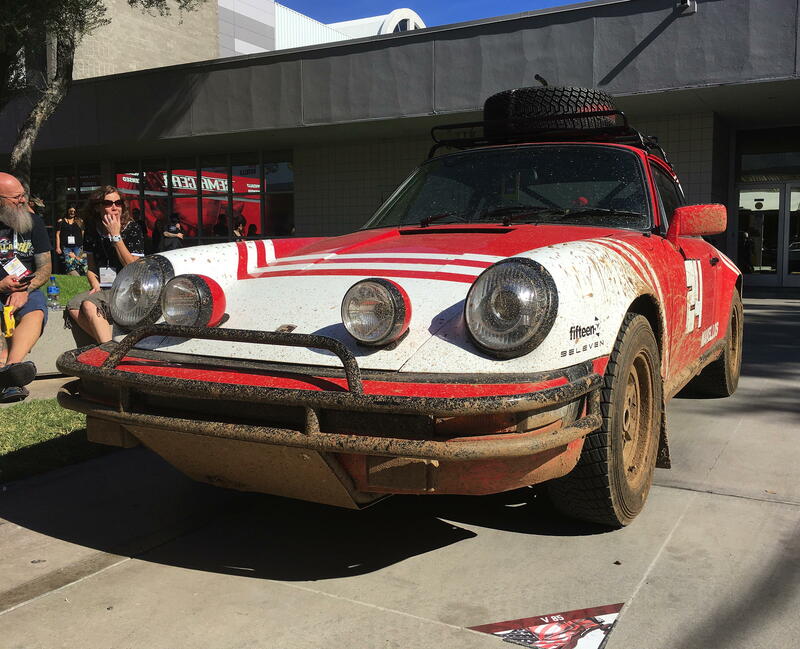 It was interesting to compare the Singer Design Porsches to Magnus Walker’s builds. 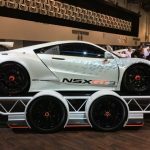 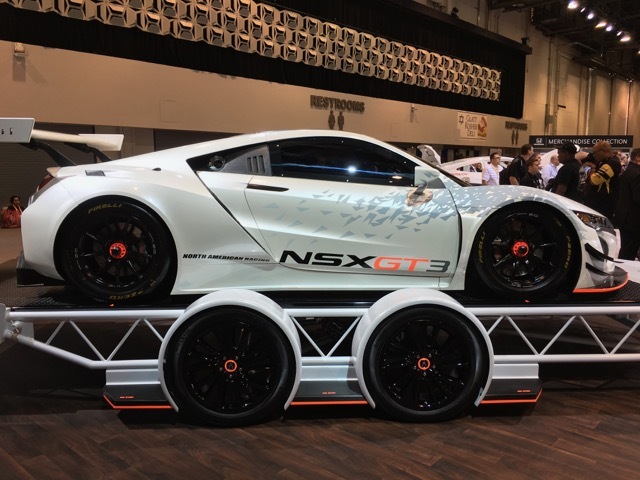 The new NSX racecar is beautiful and the Turner M6 is much larger in person. 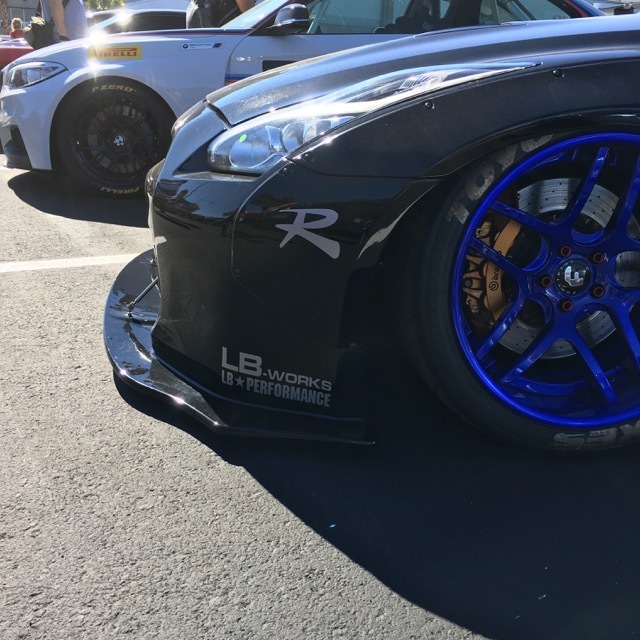 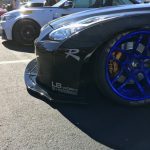 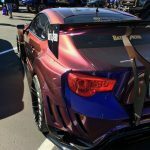 There were also plenty of unbalanced wings; incorrectly mounted splitters; and slammed “racecars” with zero suspension travel. 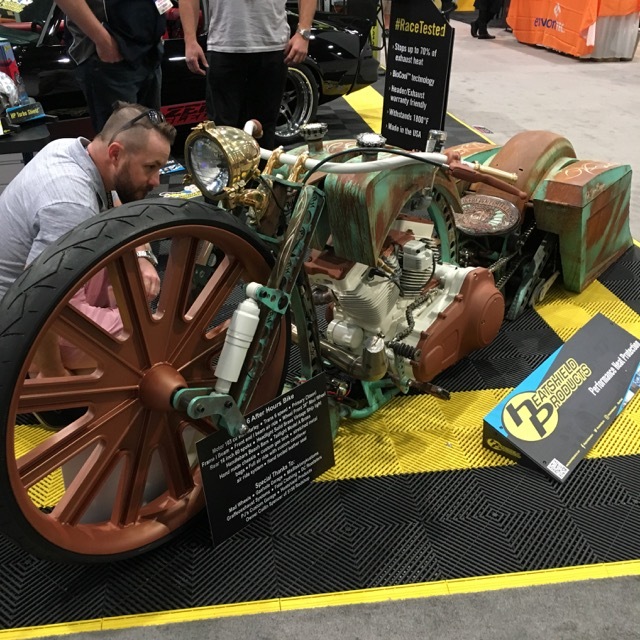 Rust and Steam-Punk were major themes. 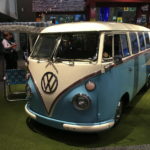 Not so much for product offerings as much as displays to draw you in. 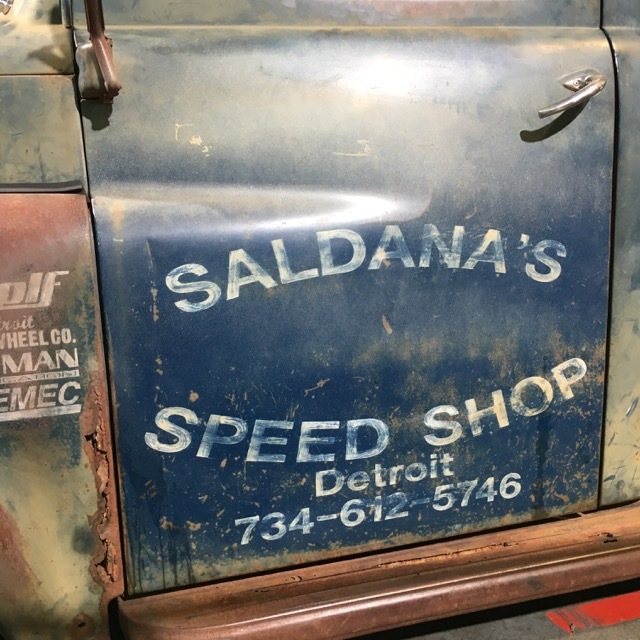 I appreciate the patina on a non-restored classic, but now you can’t tell what’s real and what’s affected. 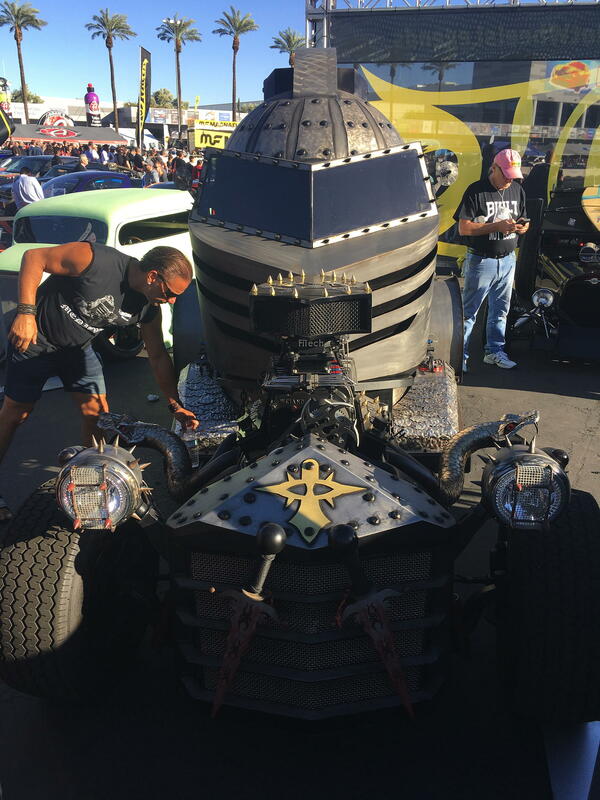 I do appreciate an inappropriately large motor applied to just about anything though. 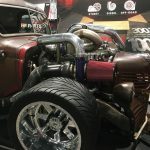 Some of the builds made no sense to me. 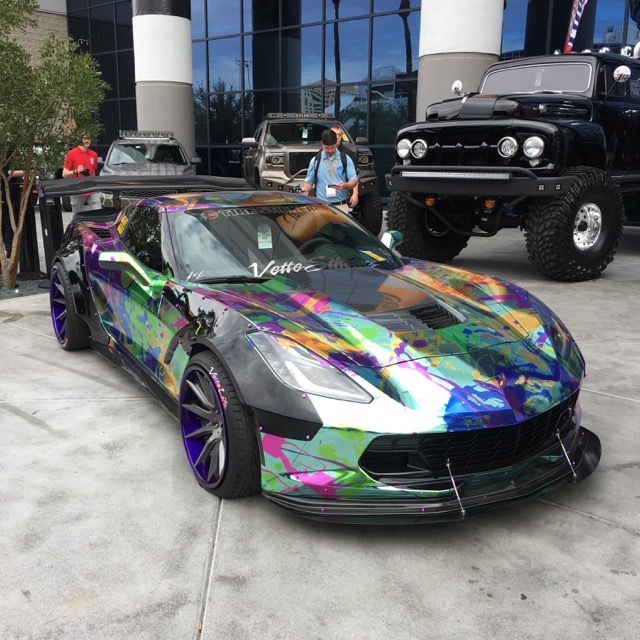 I’m not sure what they’re intended to convey: The art of the possible or just to get your attention. 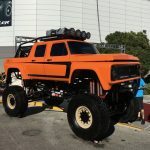 This could be from the maker of a wrap, to top-heavy lifted vehicles just waiting to be pushed over. 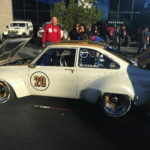 I also thought Continental Tire had an interesting way of demonstrating the grip and wear performance of their tires. 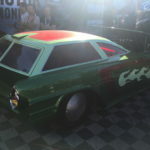 By giving drifting demonstration rides. 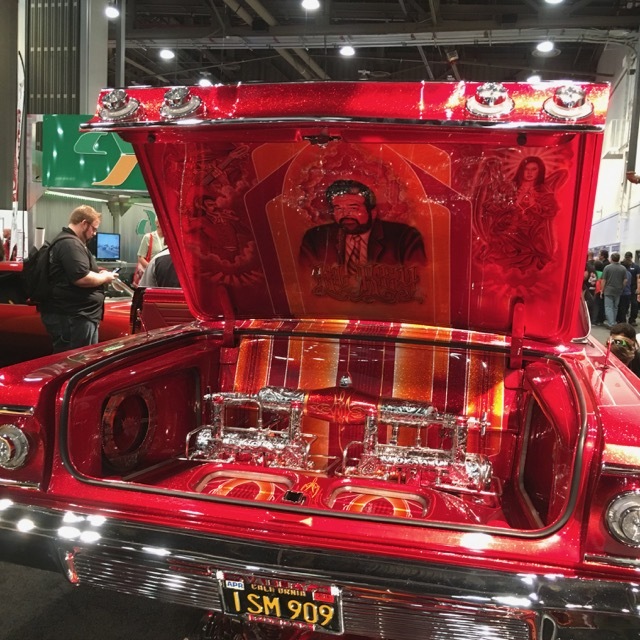 Although from where I was standing, it looked as if some of the backseat passengers were trying to get out…. 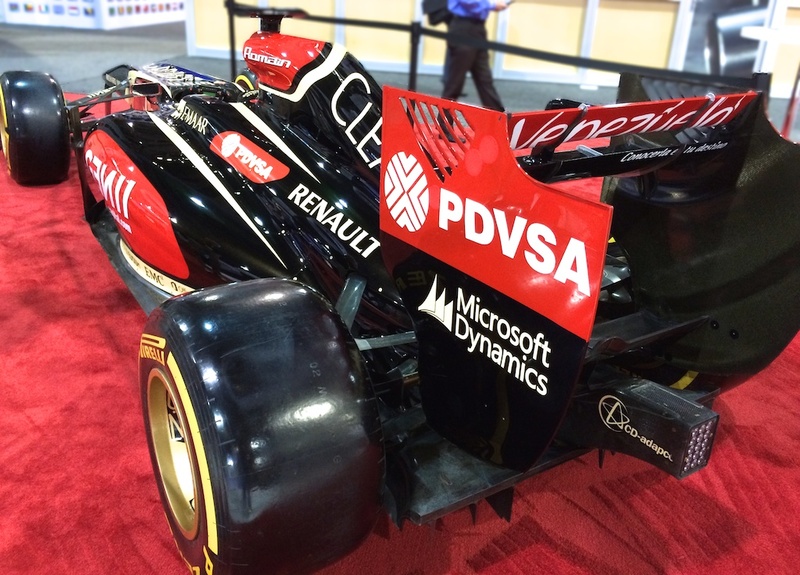 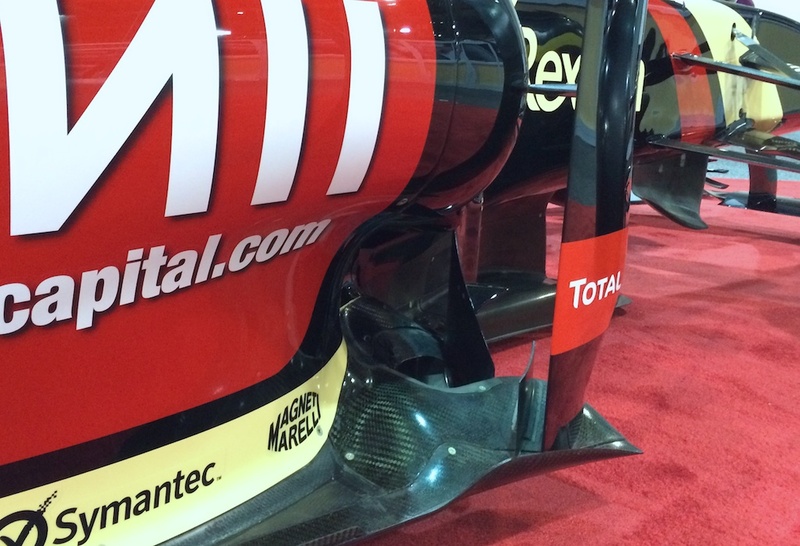 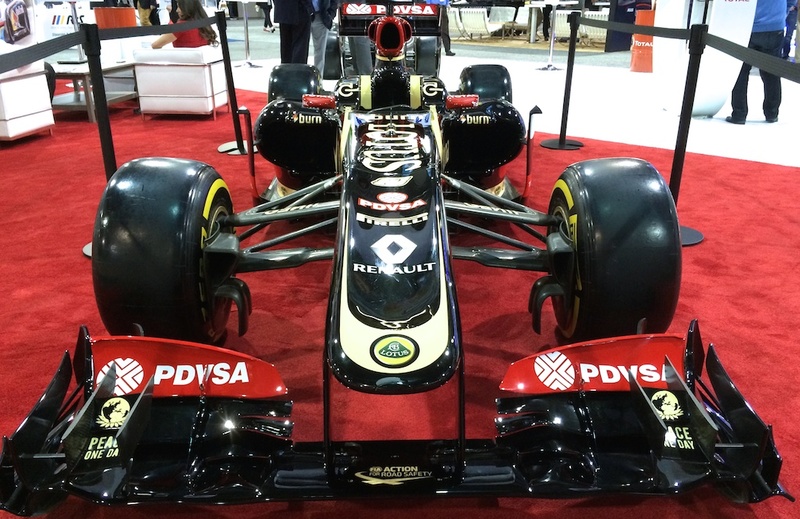 The Total Company had a Renault F1 car at their booth during the SEMA show in Las Vegas. There wasn’t even a plaque saying what it was. 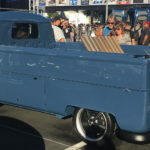 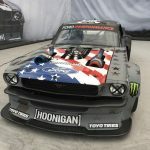 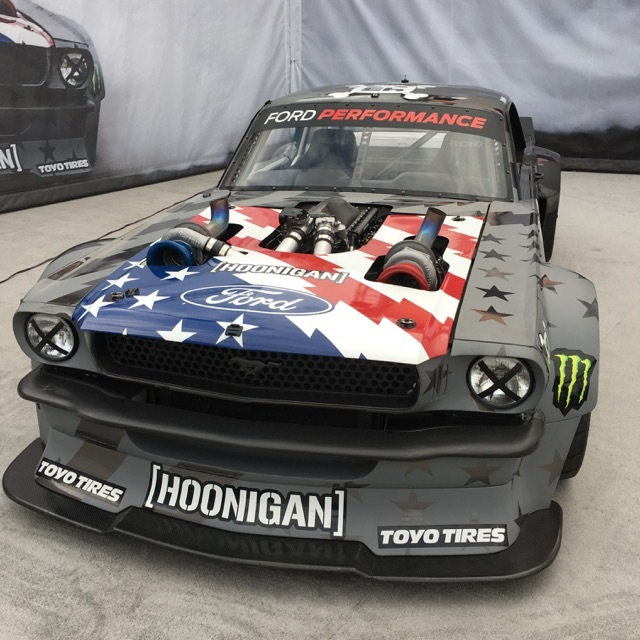 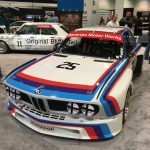 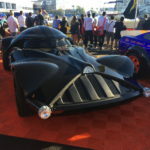 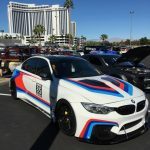 I guess since SEMA isn’t really about F1 they figured nobody really cared. 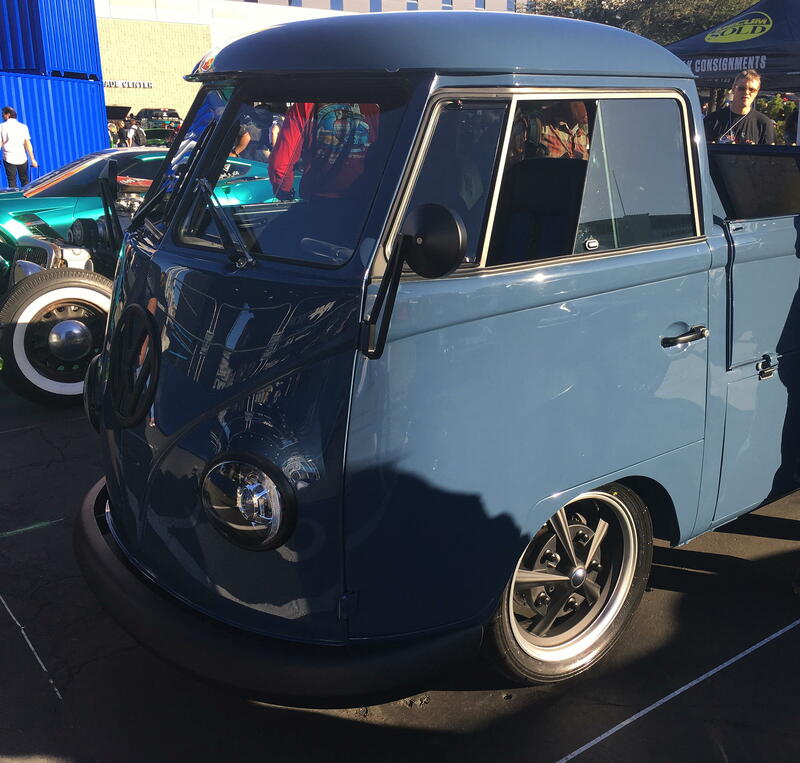 After all, you’d be hard pressed to find double-dubs that would fit. 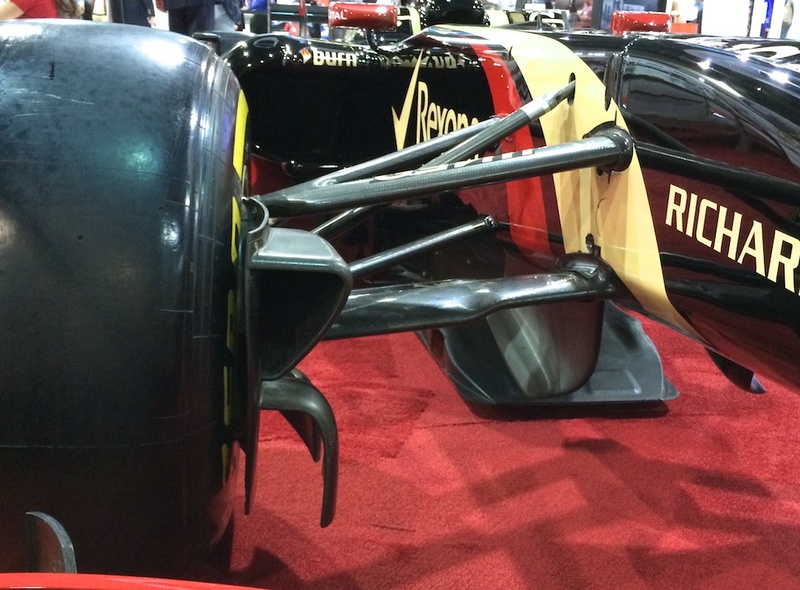 As best I can tell by searching the Google, this is the R31 from the 2011 season. It isn’t the most recent car, but it was completely unguarded so I took the opportunity to get some detailed photos. 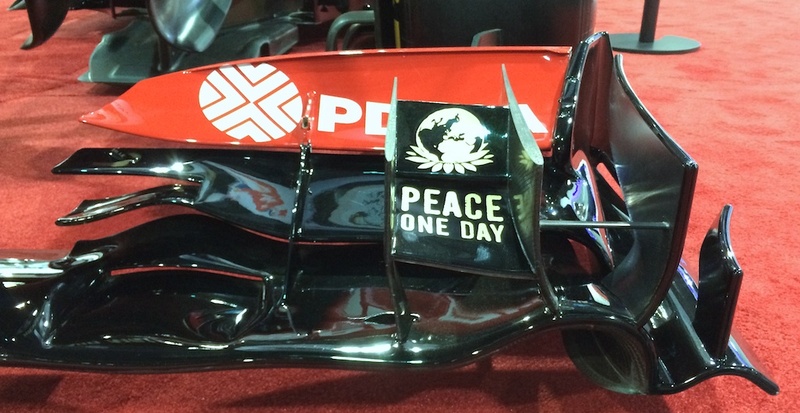 Though the names on the car are of the current drivers, this was the car driven by Nick Heidfeld and Vitaly Petrov to two surprising 3rd place finishes at the beginning of the 2011 season. 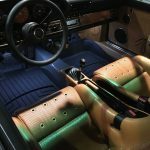 The car went on to place Lotus Renault 5th in the constructor’s championship, which given the size of their budget that year, was a good accomplishment. 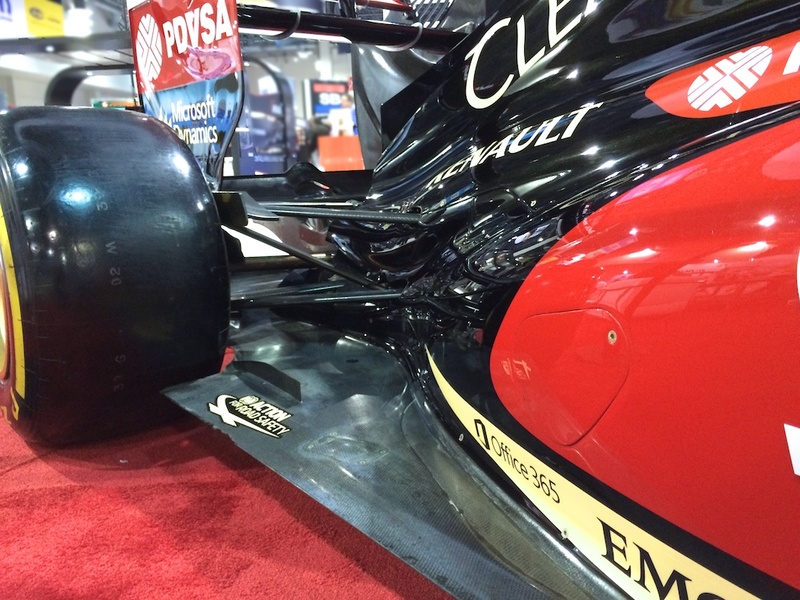 Mostly I was interested in the complex aero-bits that you really can’t see on television. 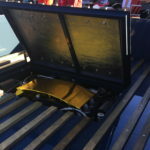 I always marvel at the intricacy of design of the various trim tabs and wings that define the current state of the art. 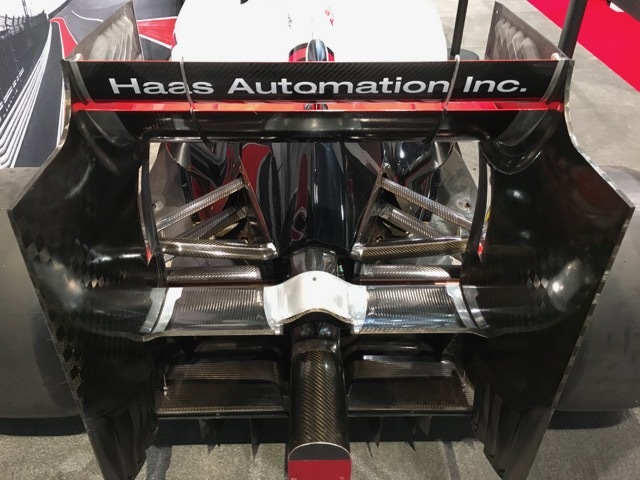 I think about the engineers who spend hours in the wind-tunnel and CAD systems designing these wings, only to have the driver’s knock them off with no apparent effect on performance. 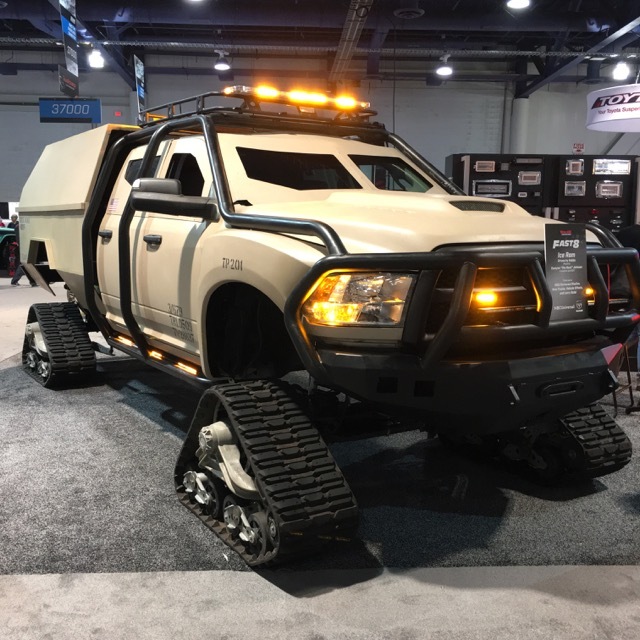 The degree to which they are trying to bend the air around the disturbance of the front tires and place it better for use further on in the chassis is amazing. 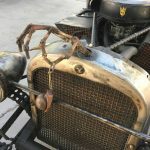 I was especially interested in the details of the so-called “Tea Tray,” seen here below the suspension pick-up points on the body. 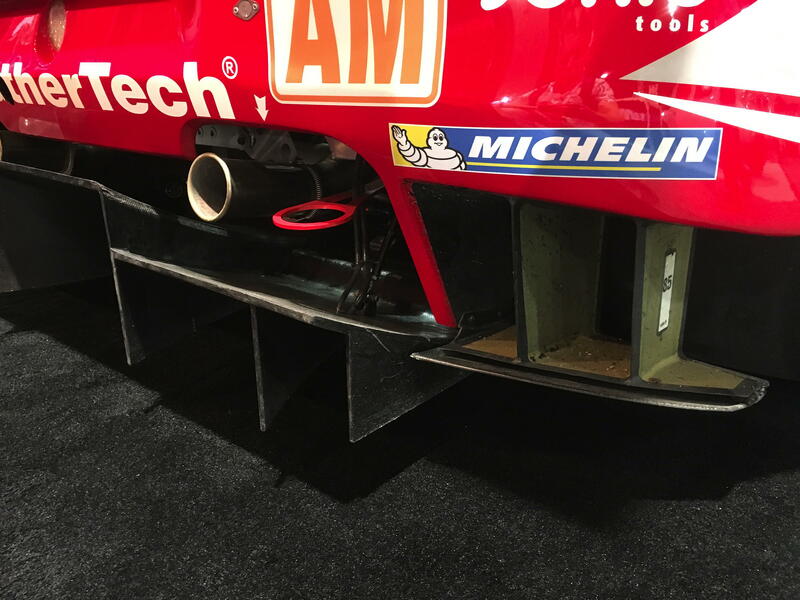 I always though the Tea Tray was flat, but the sides are sculpted and shaped to move the air along the edges at different speeds than underneath. 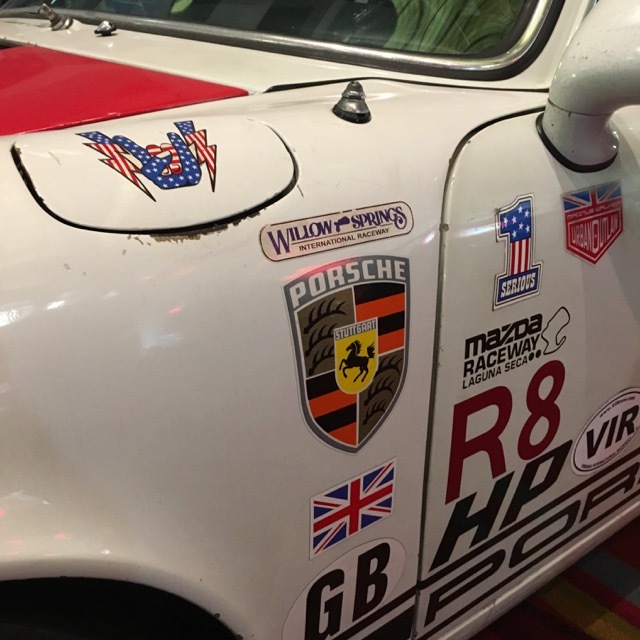 Something you can see in detail on the side of the Tea Tray. 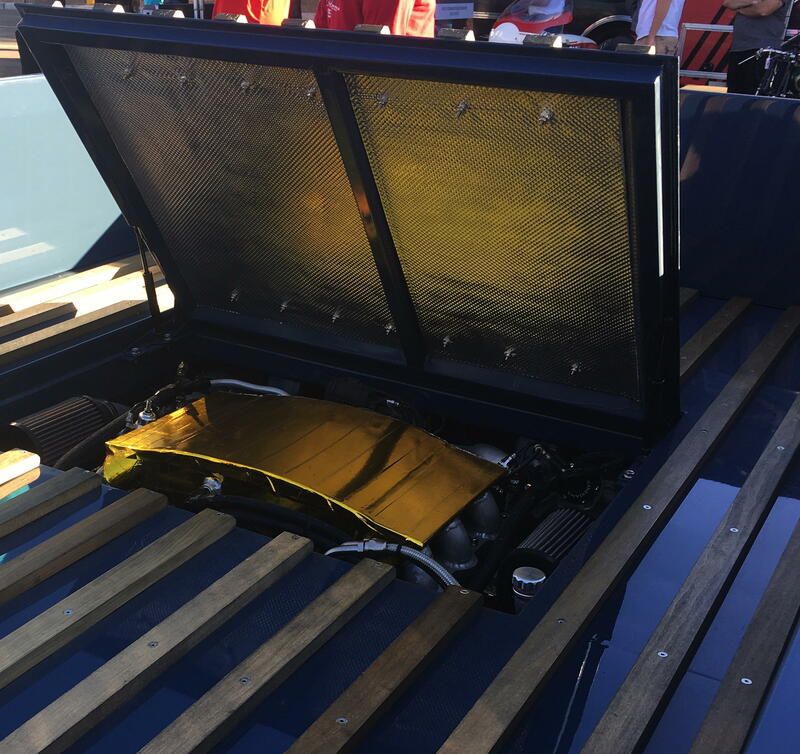 The openings in the side pods are quite small compared to previous years and the aero sculpting continues to feed air from the front of the car to the rear floor. 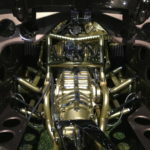 The engine packaging is also very tight. 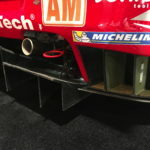 This was the year before the blown rear diffuser, even still, the shape of the diffuser is very complex and fragile-looking. 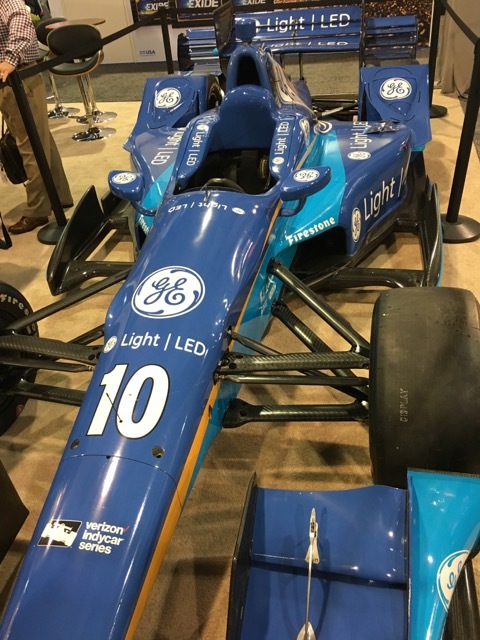 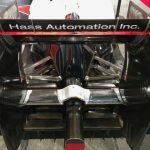 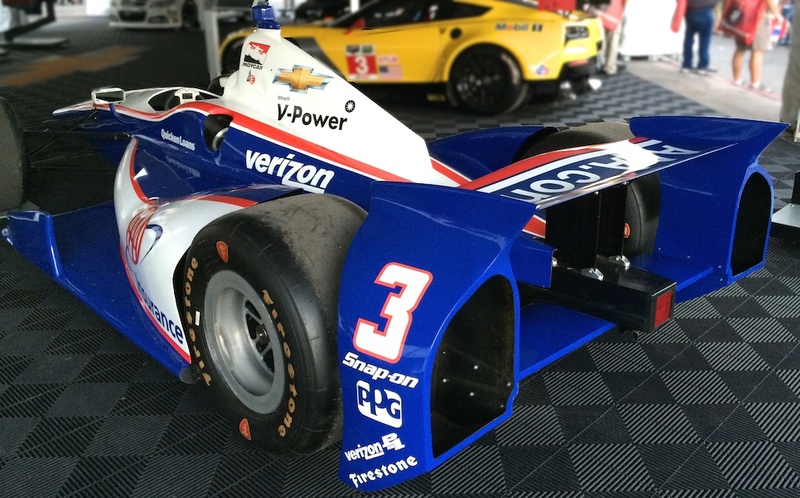 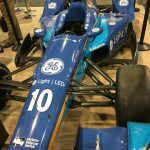 It’s interesting to compare the rear of this car to the DW12 Indycar — a contemporary design — in this case, the number 3 Indycar of Helio Castroneves. 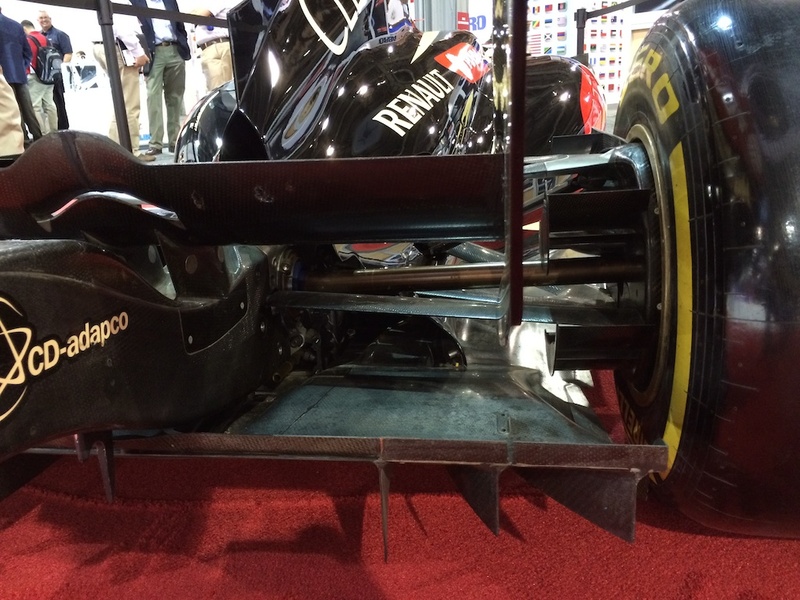 The Indycar seems positively old-school, especially in the low down-force configuration seen here. 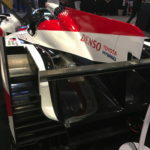 The funny thing about this display is that just across the floor from it was a contemporary Cup-car. 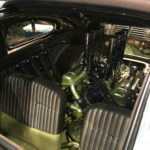 Talk about old-school: the best in 1950’s technology, only now with fuel injection I suppose….